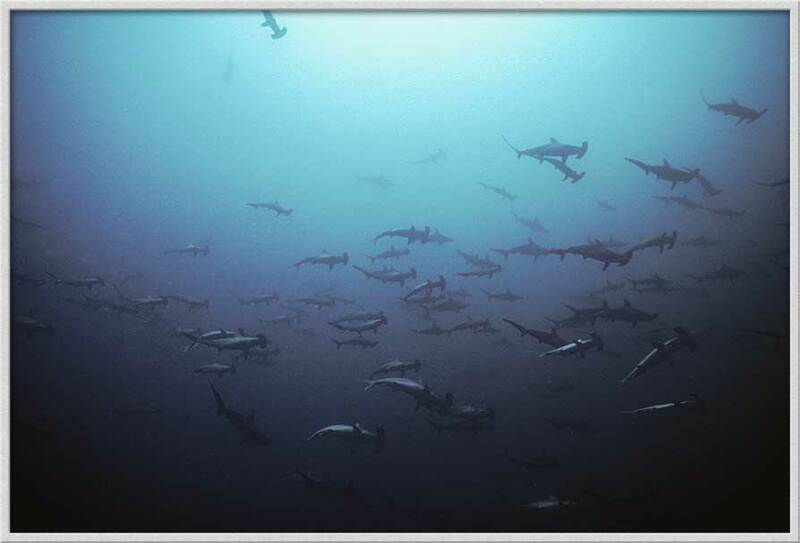 Sharks, Sharks & more Sharks! 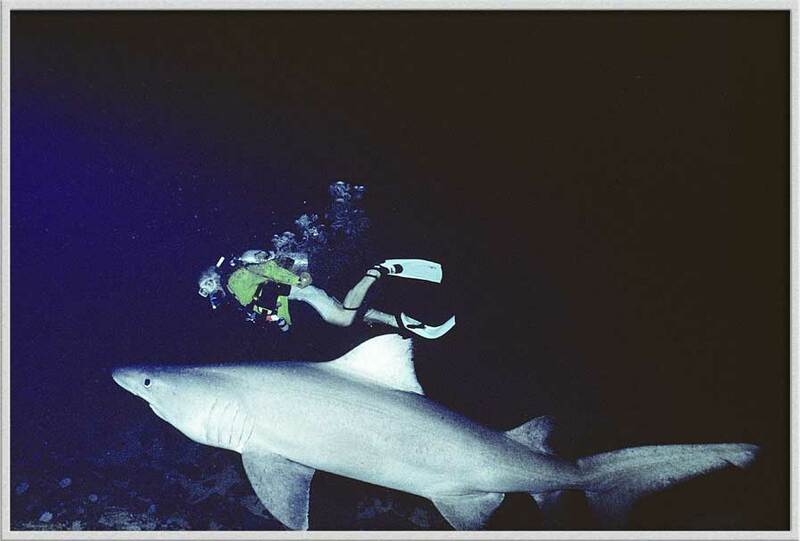 Sharks have fascinated Man since primitive tribes saw sinister shadows in the waters off the beach. 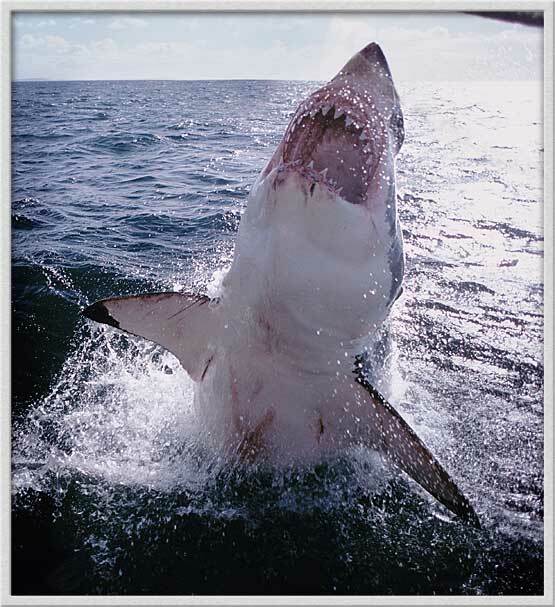 During the past few decades, men left their boats and the land to enter the sea, coming face to face with the symbol of their fear. 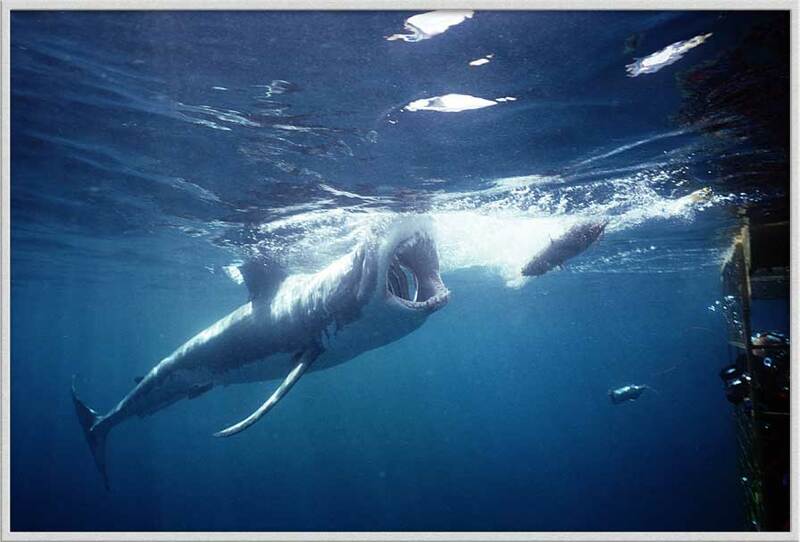 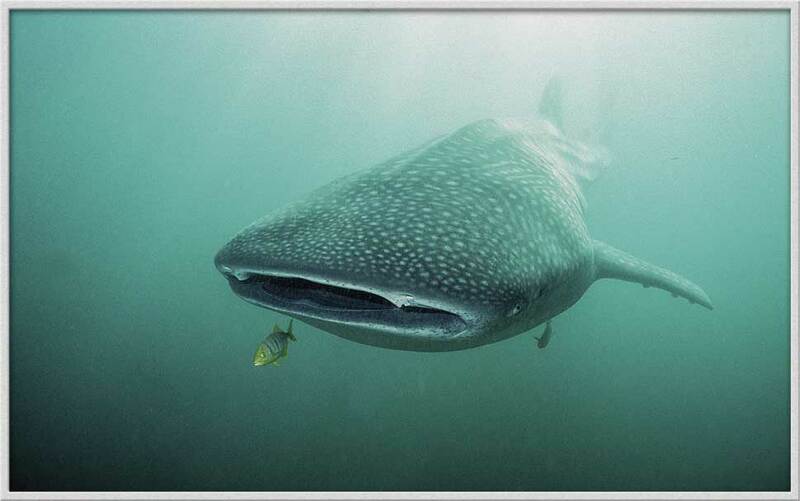 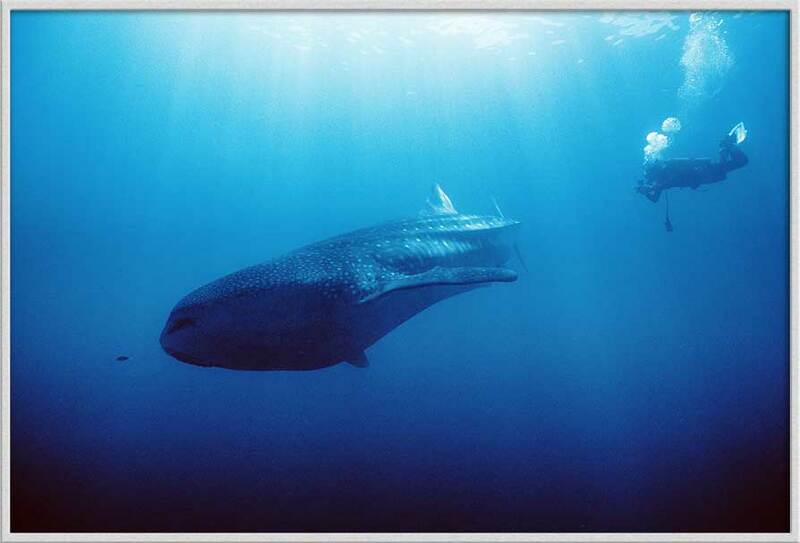 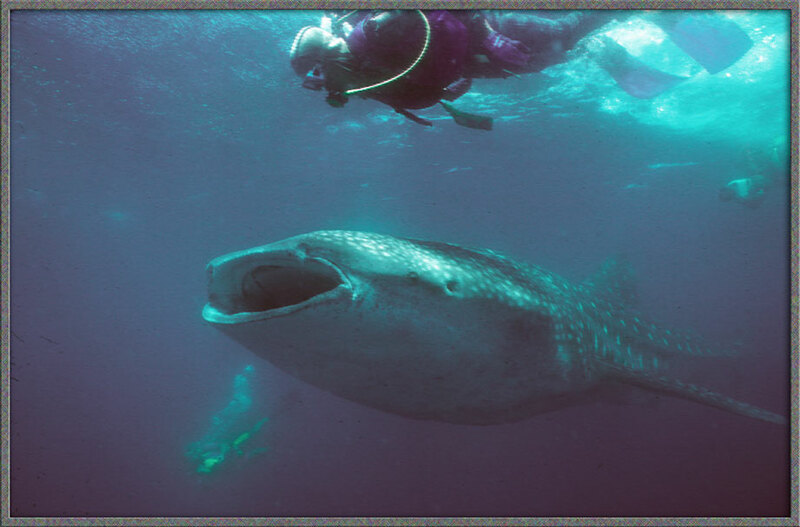 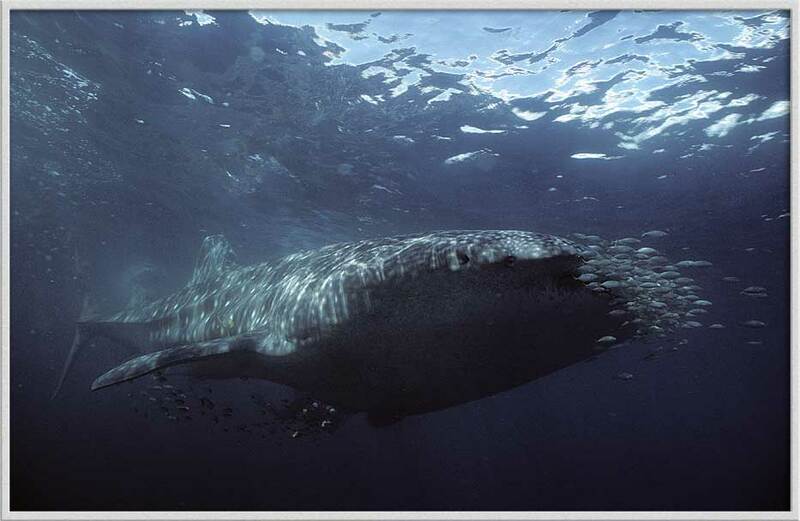 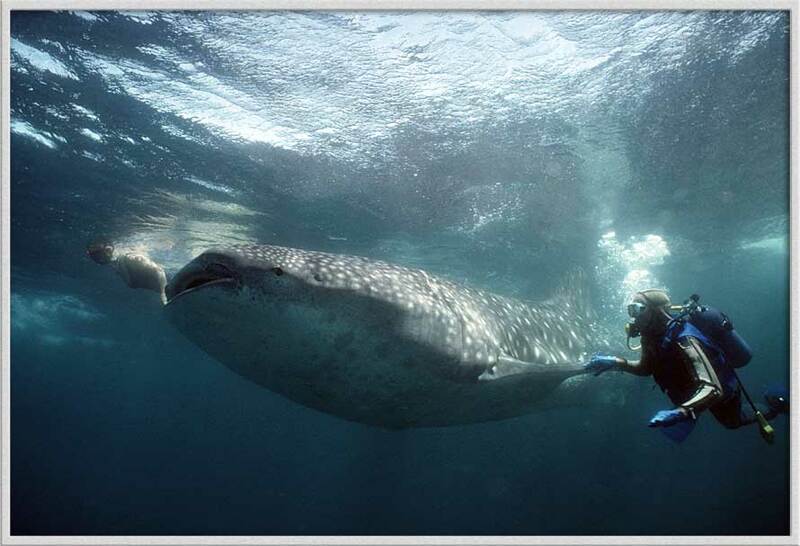 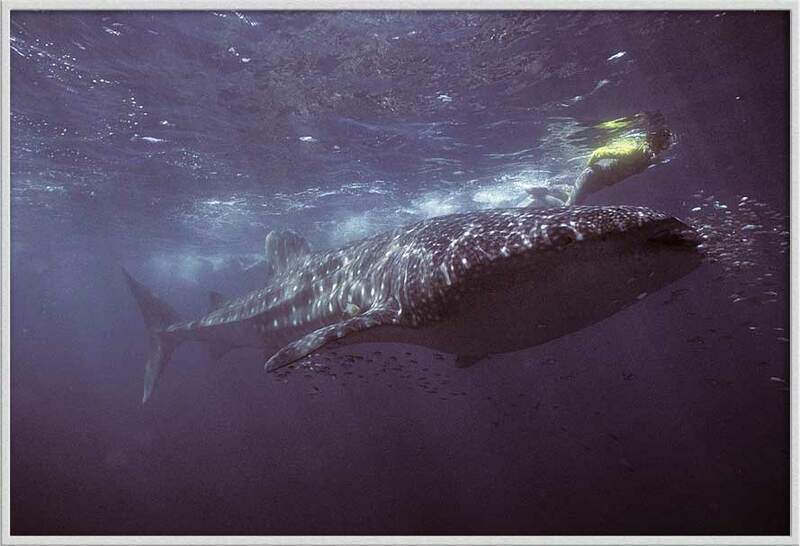 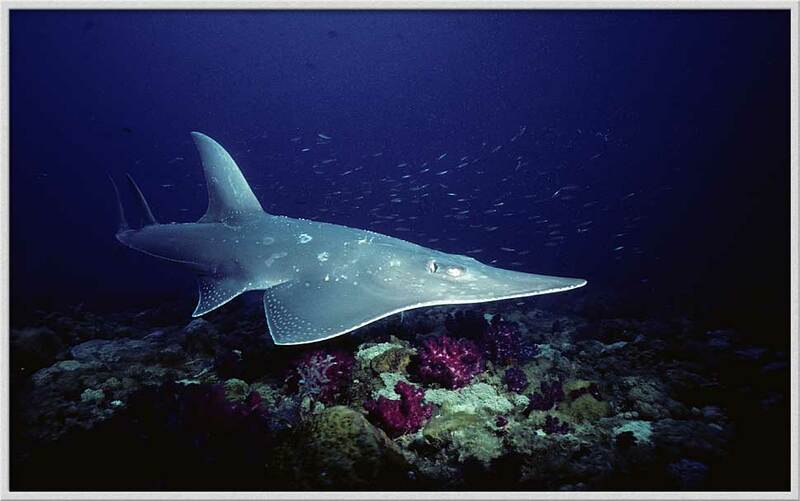 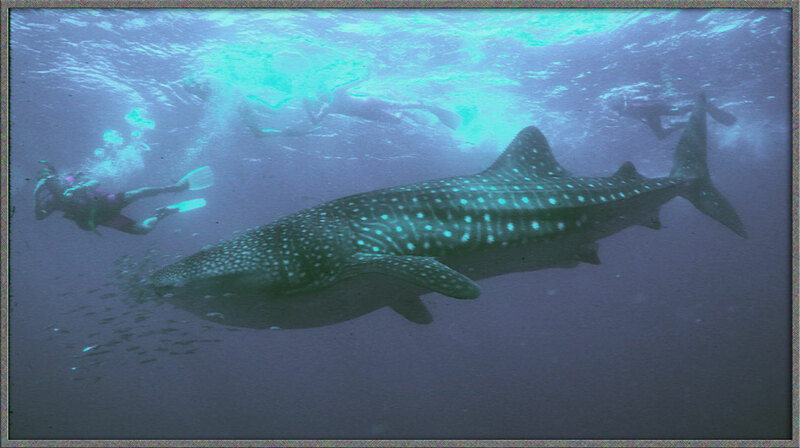 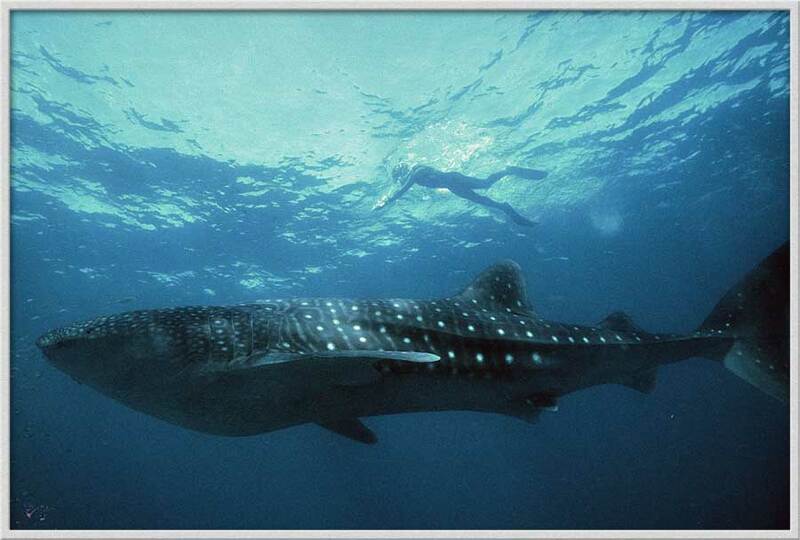 Increasing knowledge allayed the fears and allowed us to experience one of the sea’s most perfectly-designed creatures. 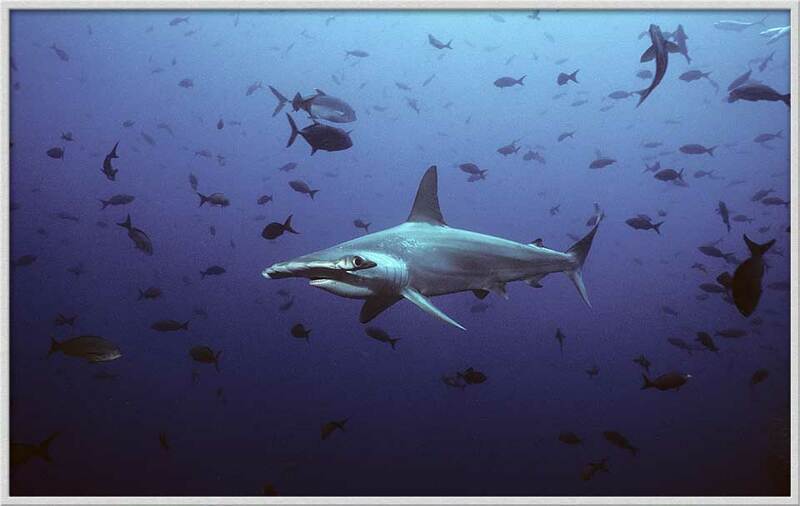 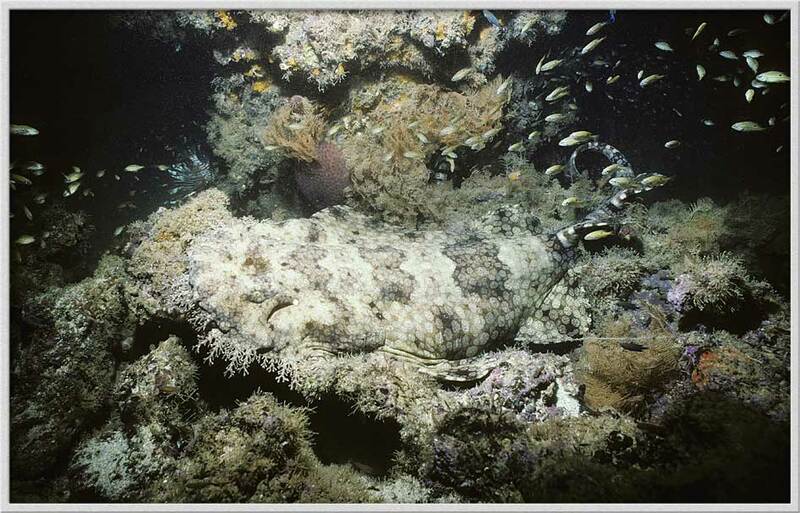 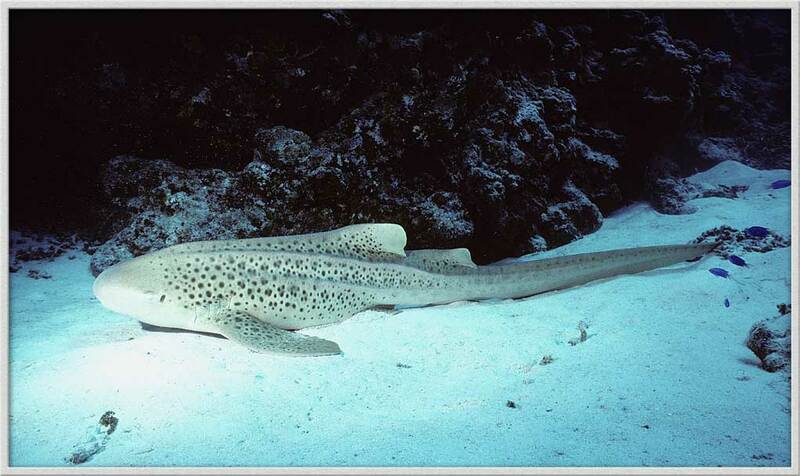 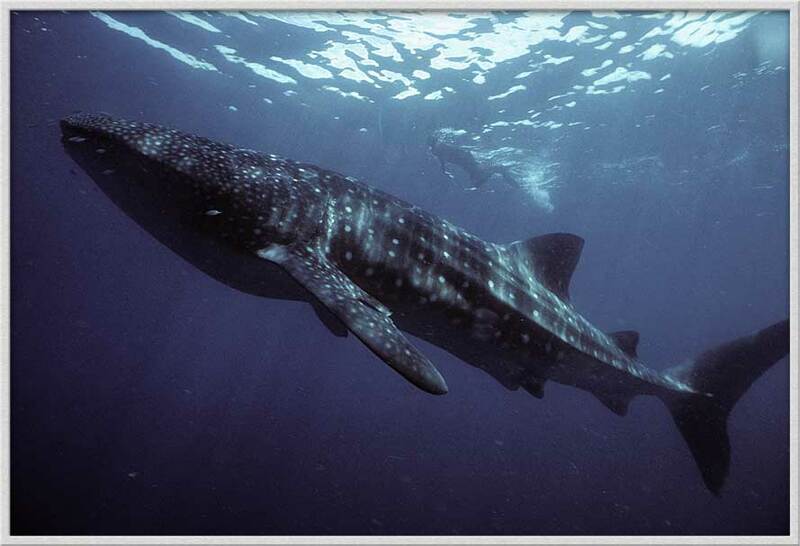 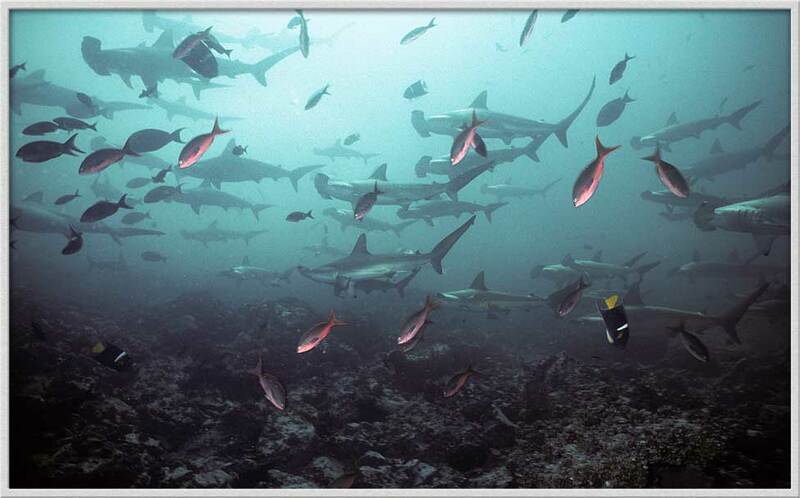 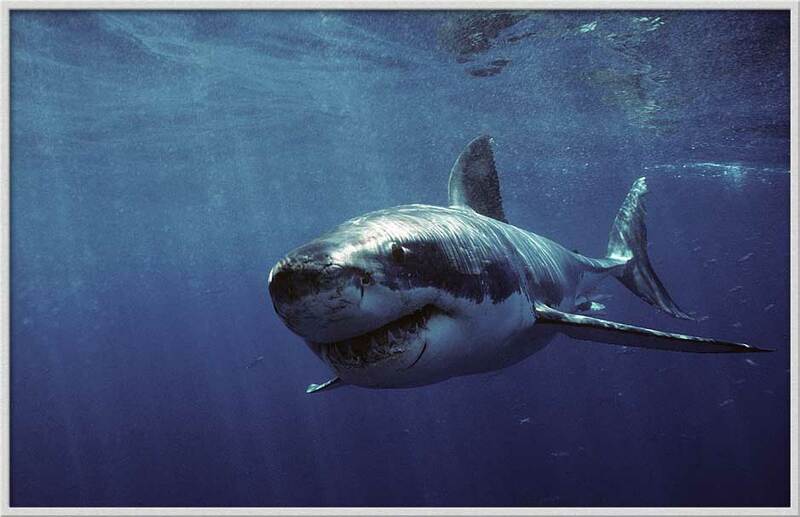 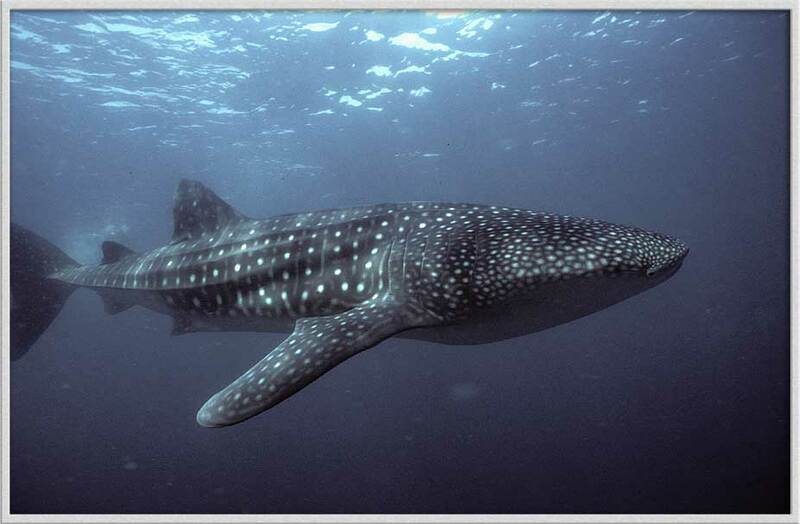 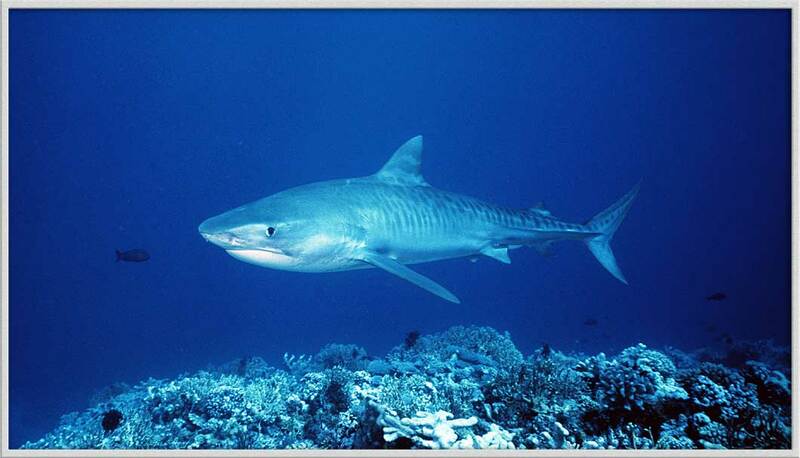 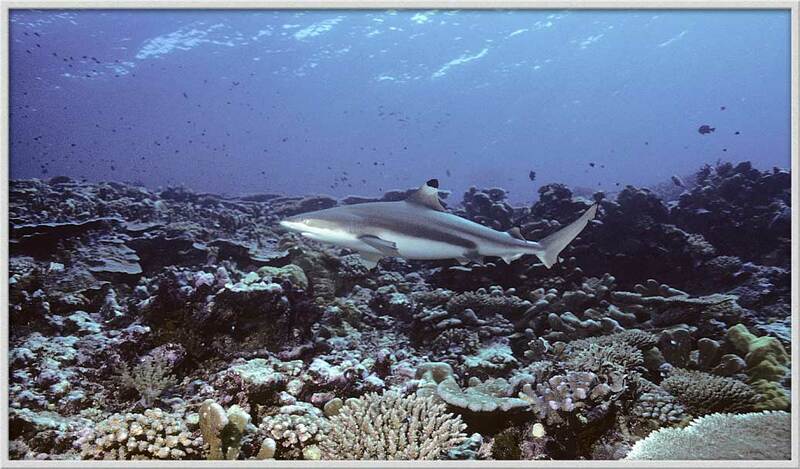 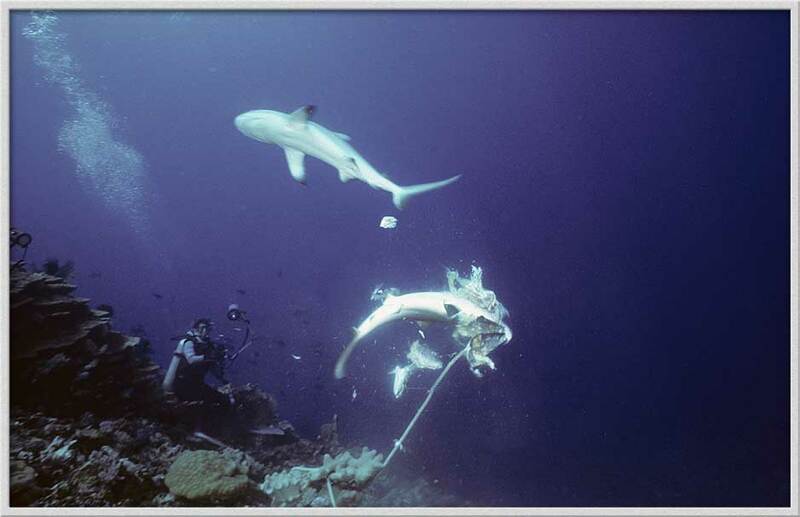 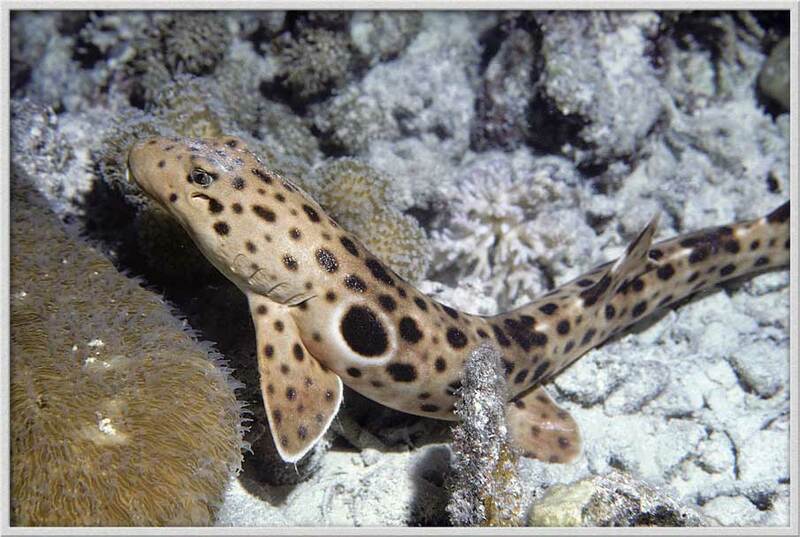 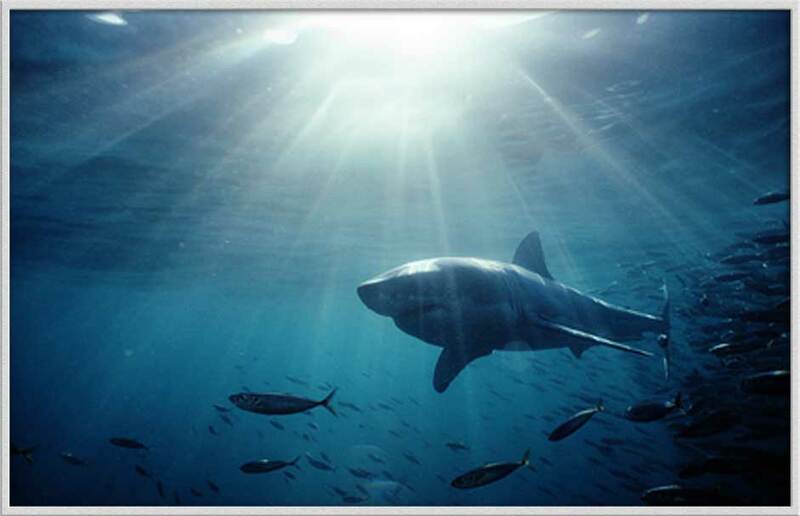 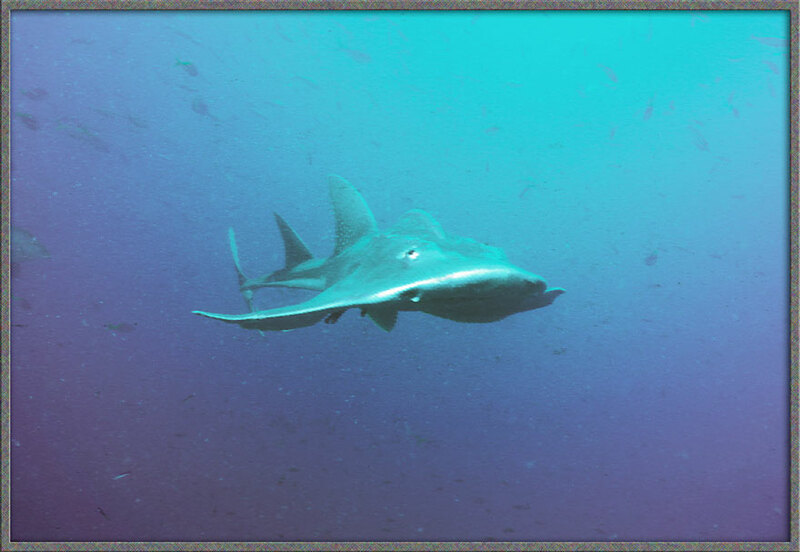 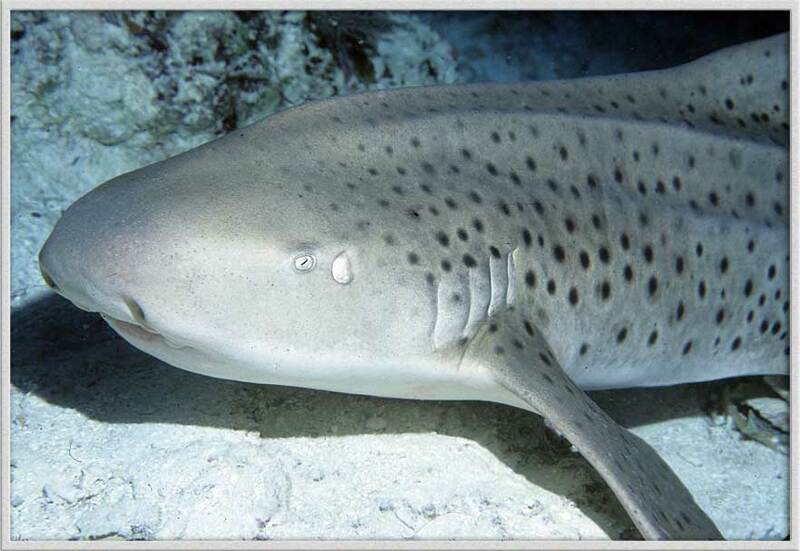 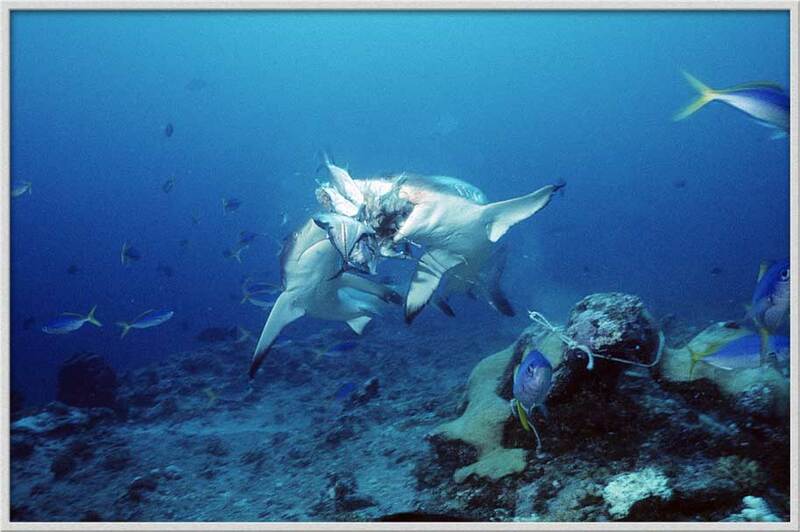 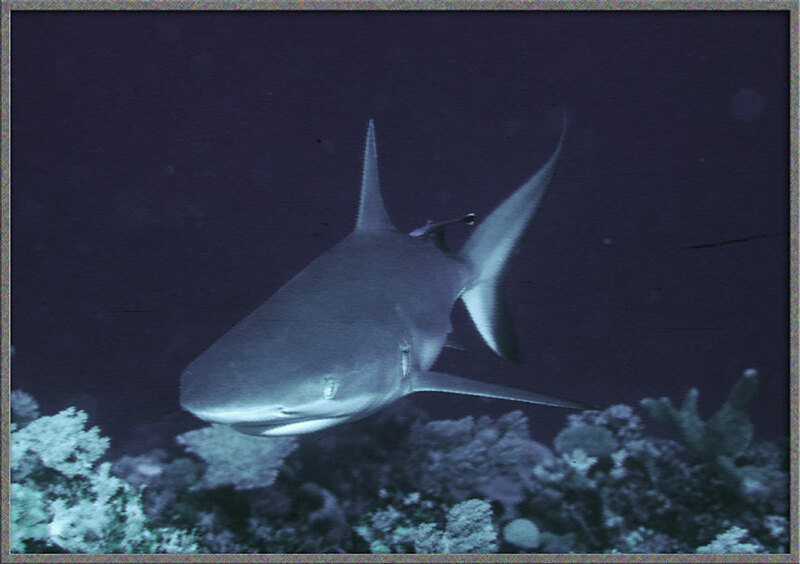 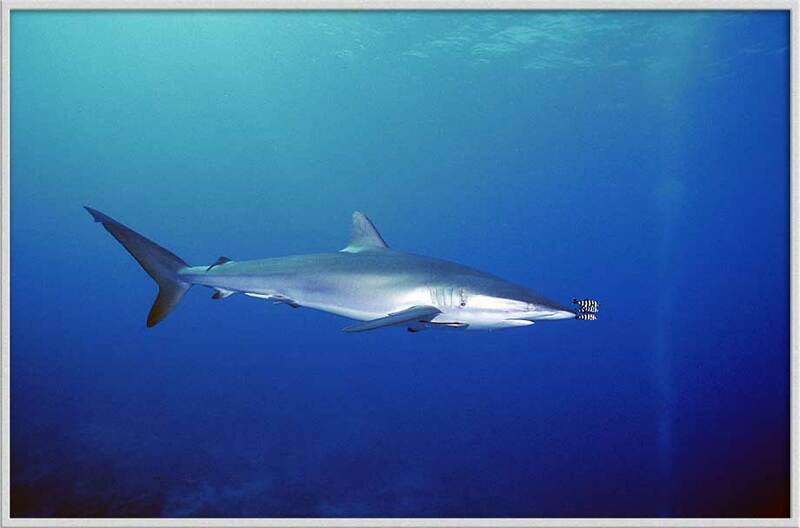 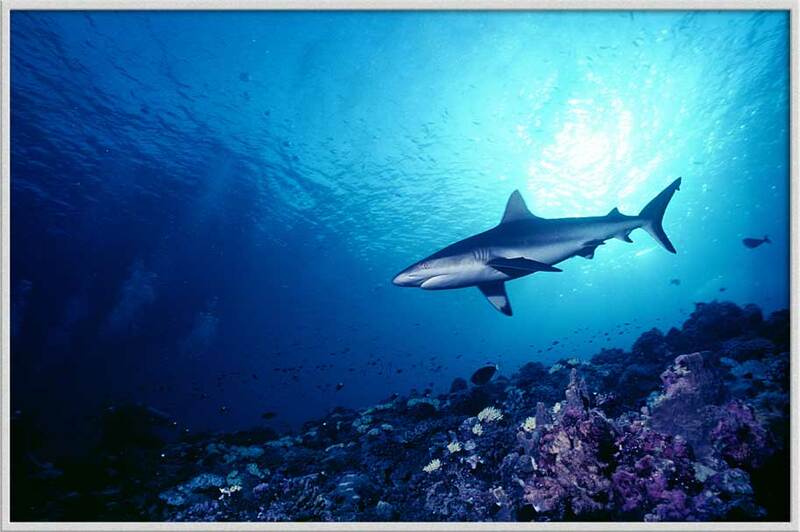 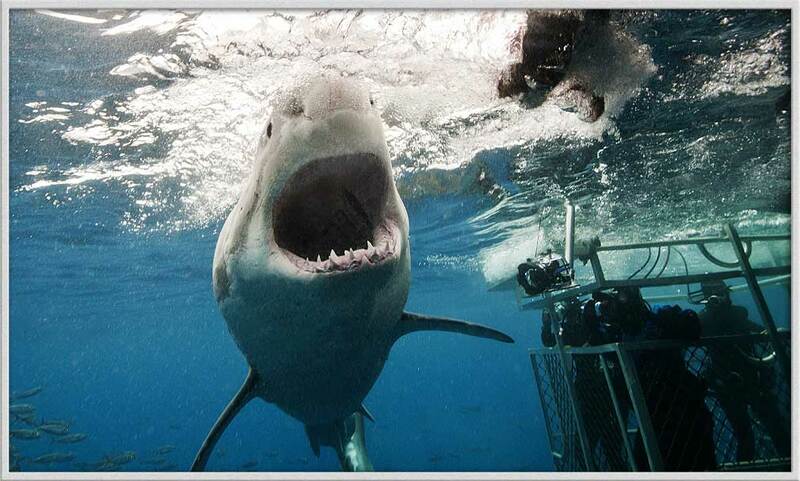 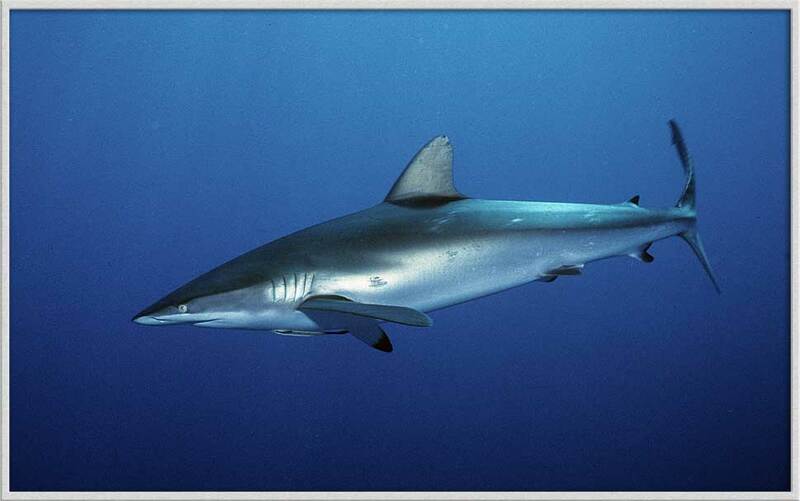 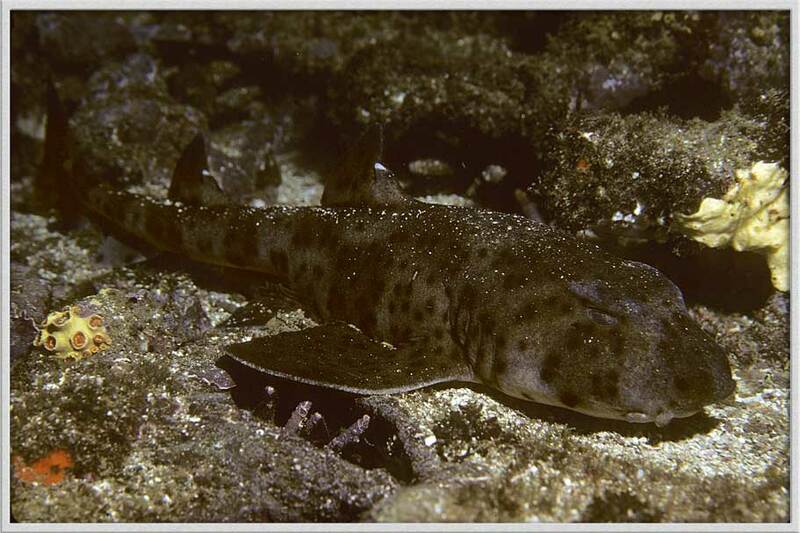 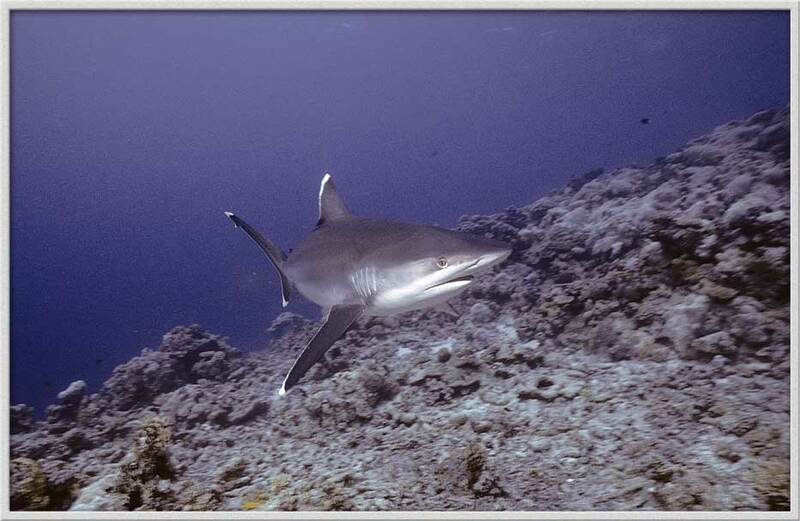 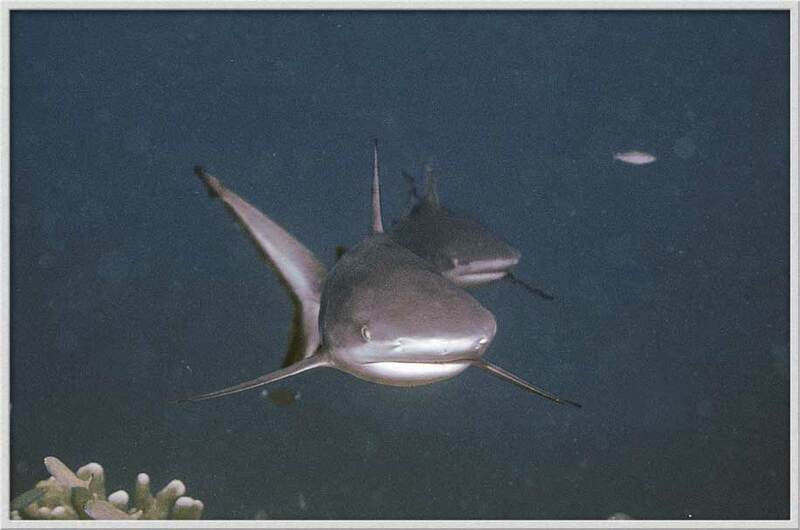 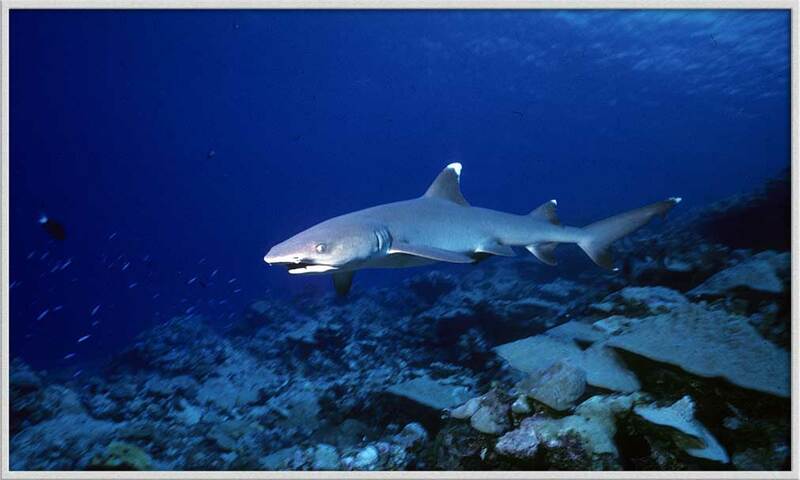 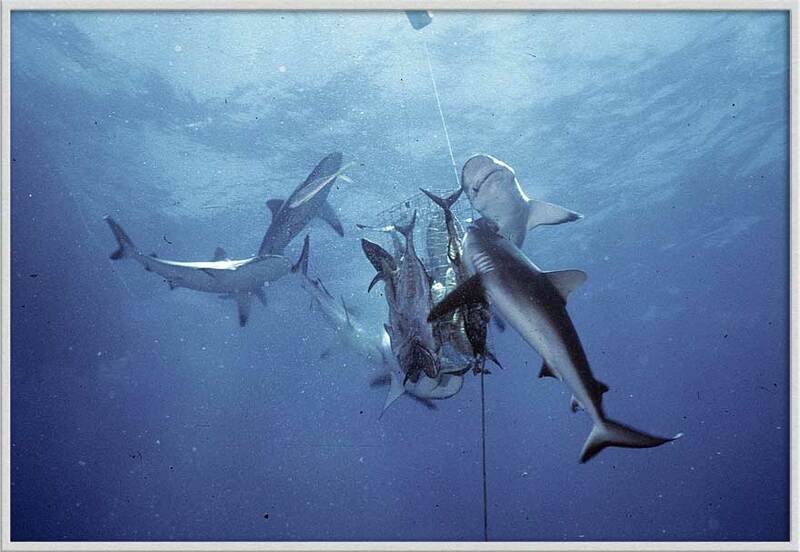 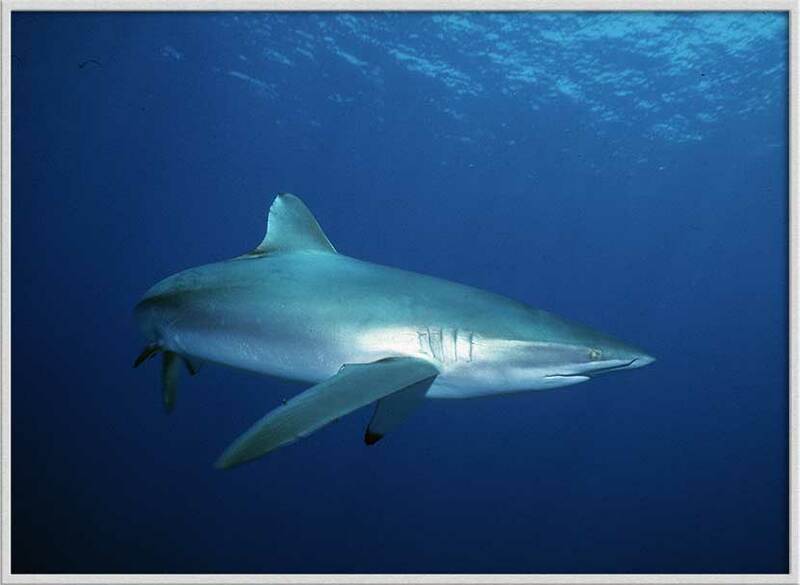 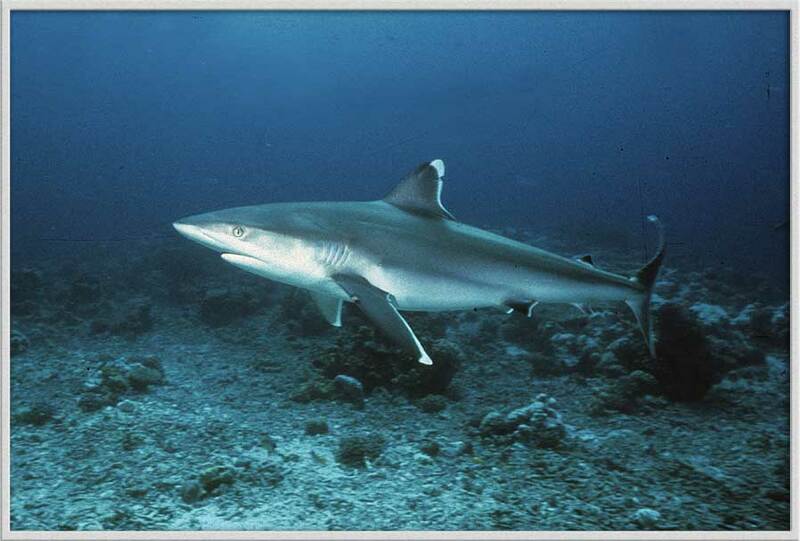 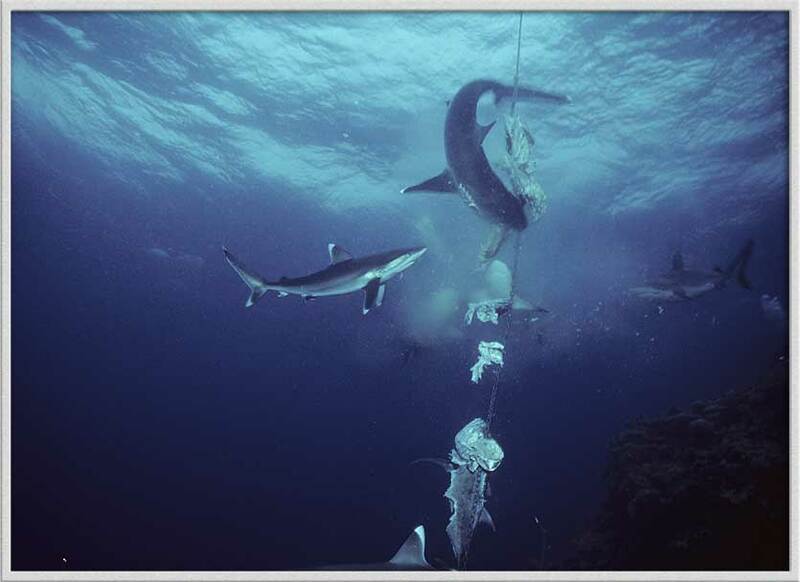 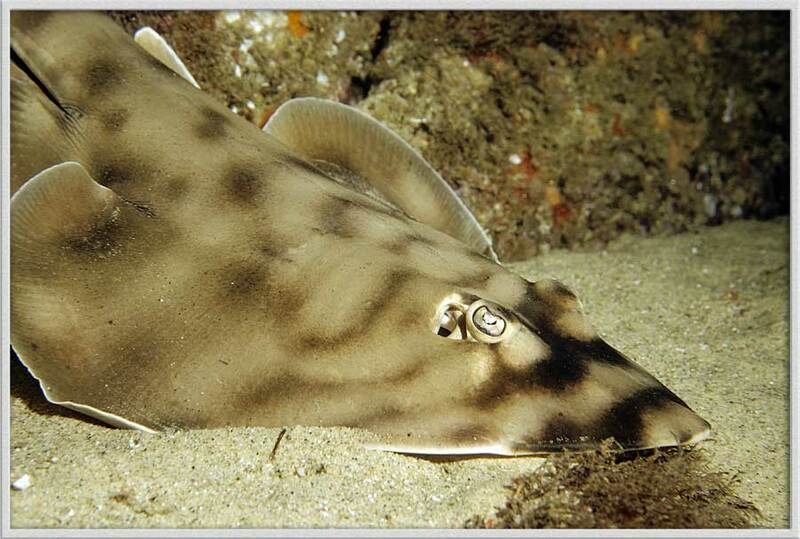 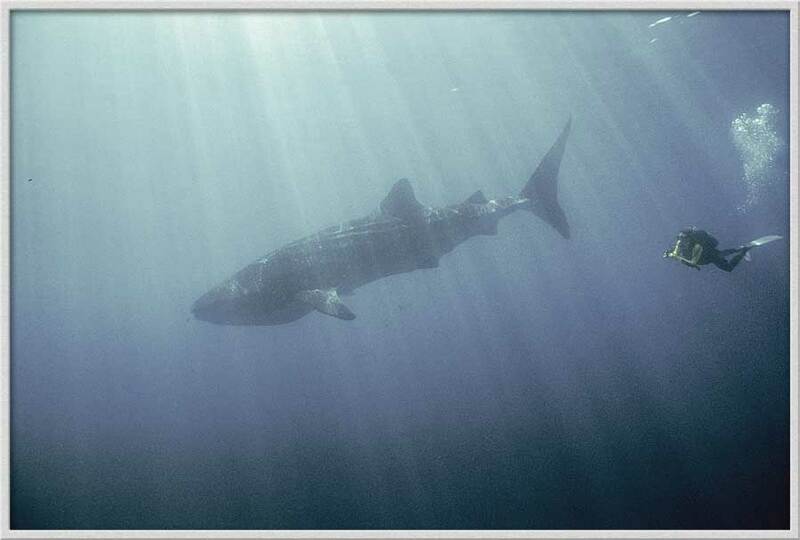 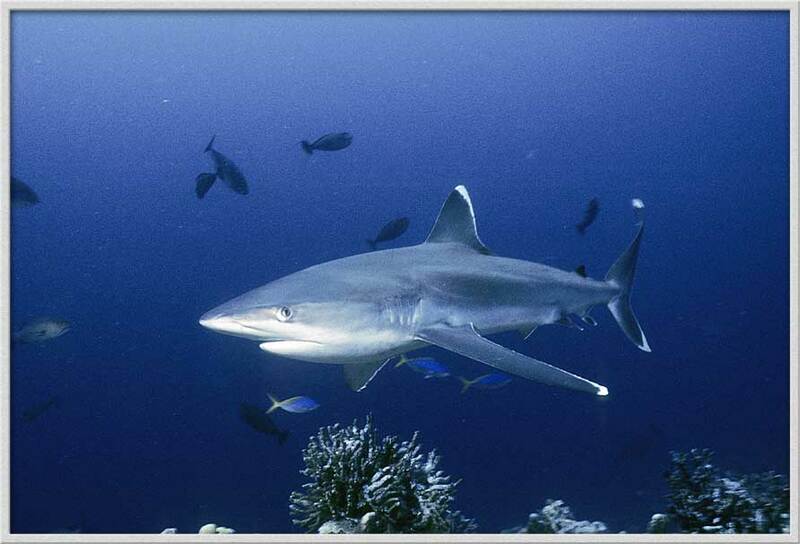 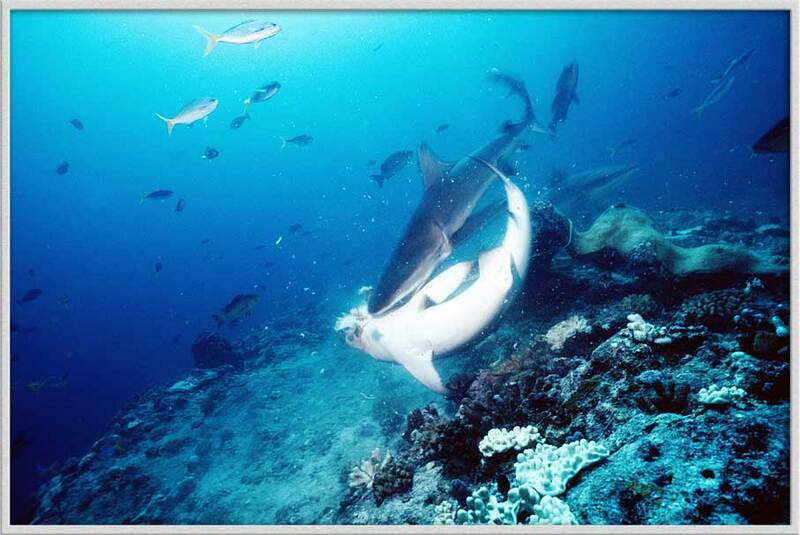 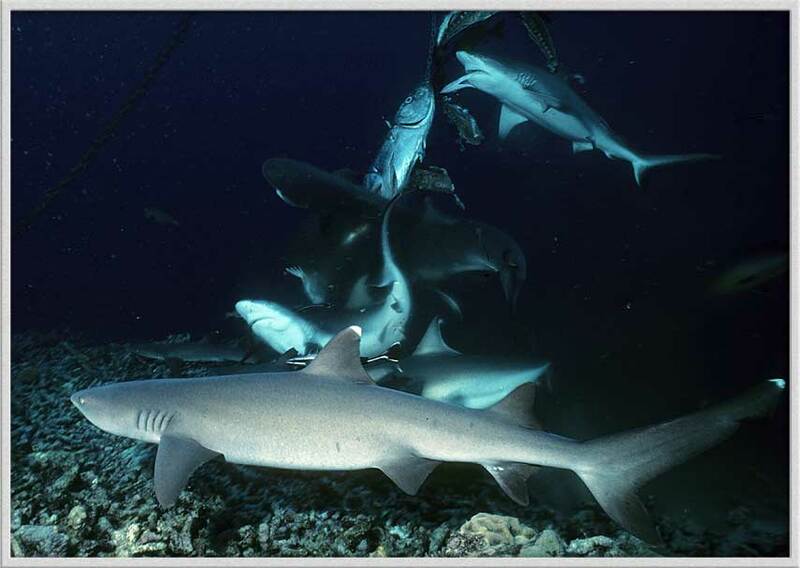 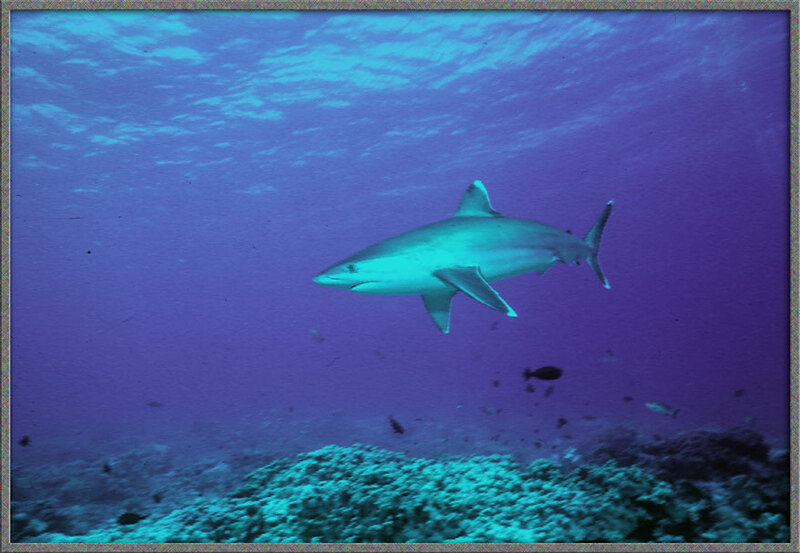 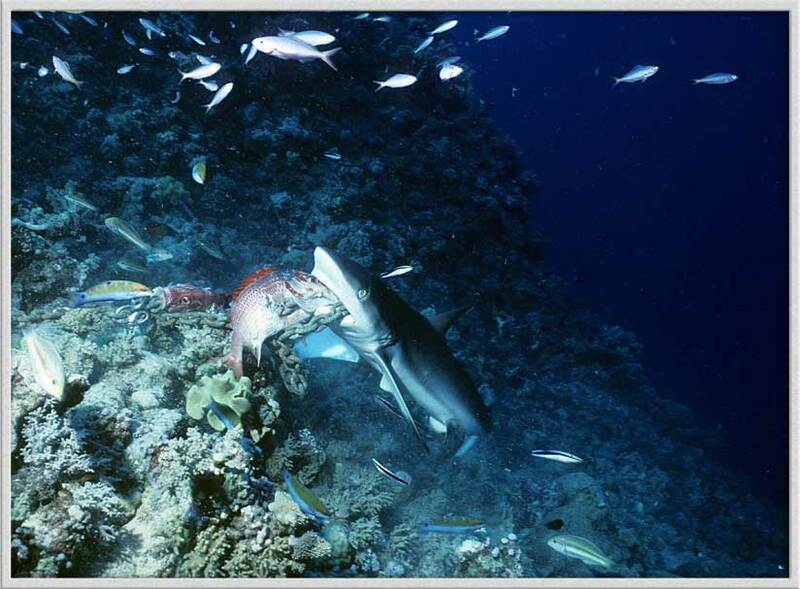 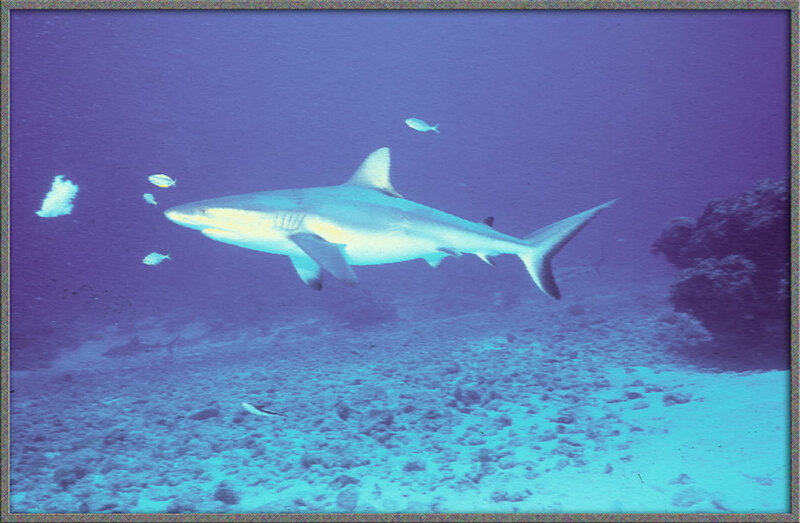 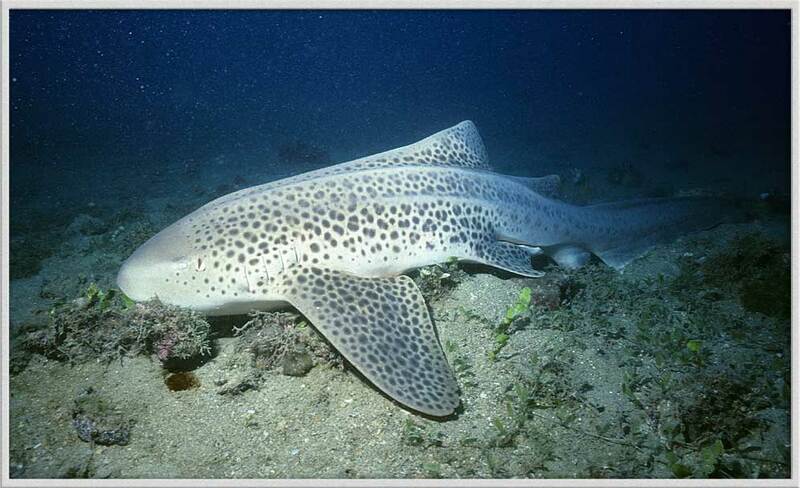 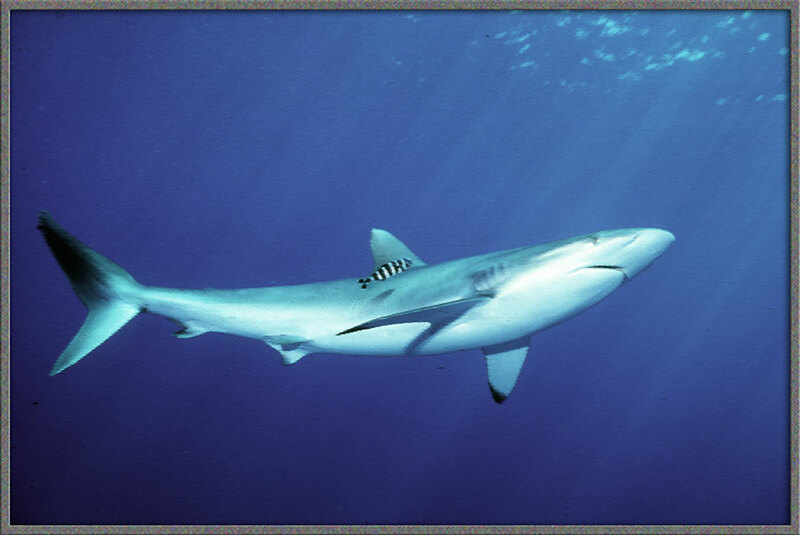 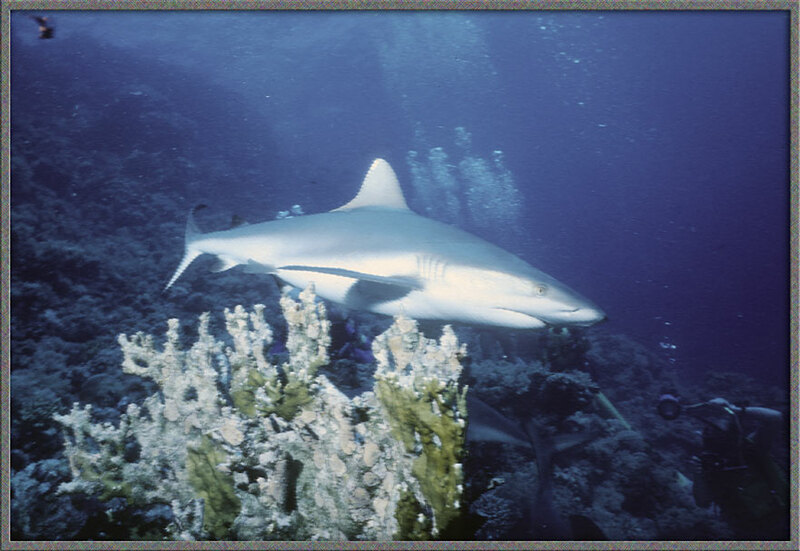 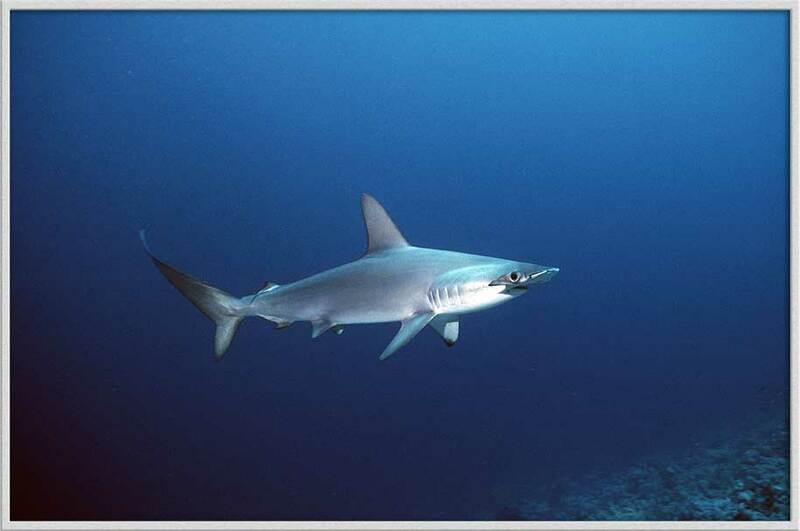 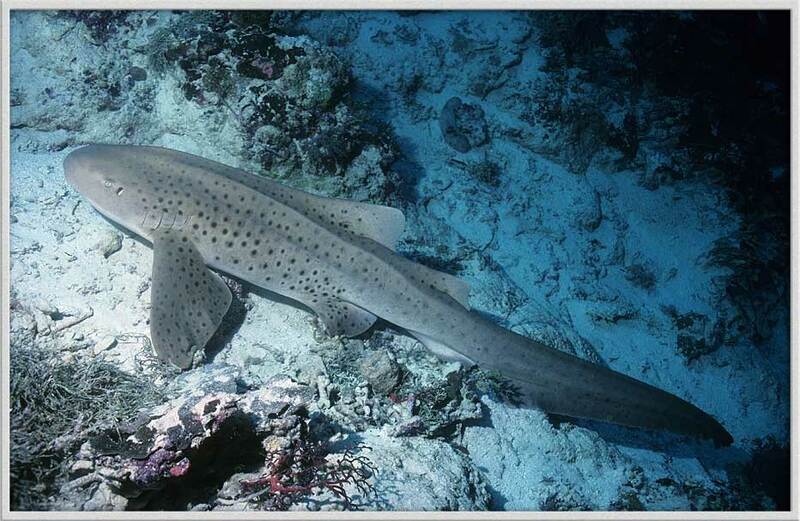 My first shark feed was in October of 1972, far out in Australia’s Coral Sea. 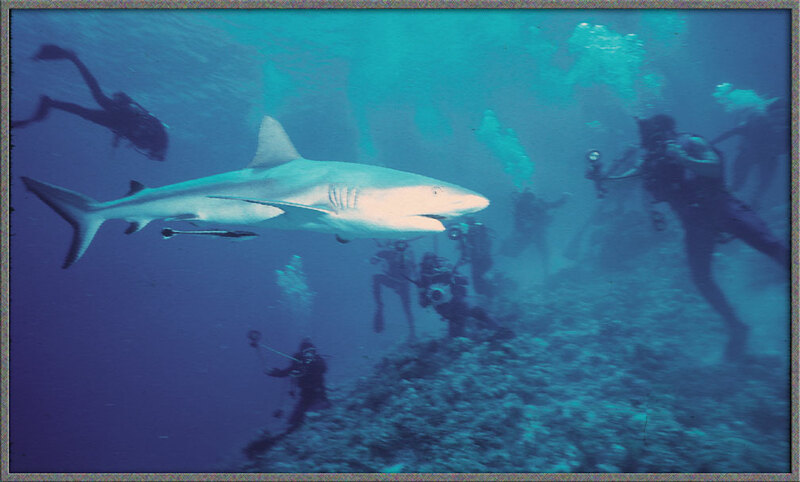 We had no idea what to expect, but that thrilling dive led to me do hundreds of shark feeds all over the tropical world in the ensuing decades. 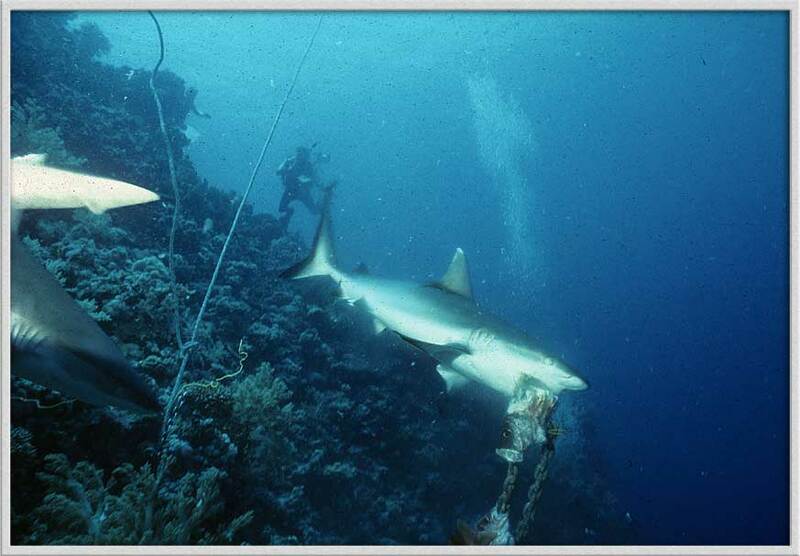 Carl is in the orange vest, and Bernie Bergen took these videos at Eastern Fields in Papua New Guinea. 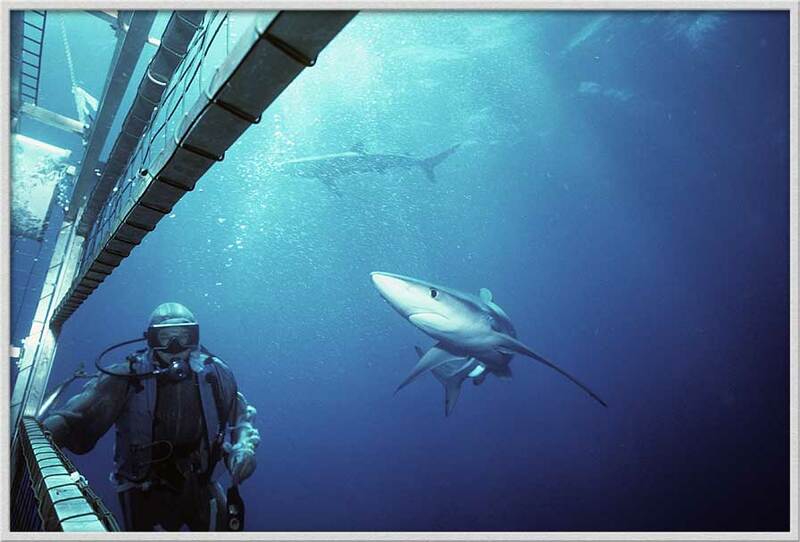 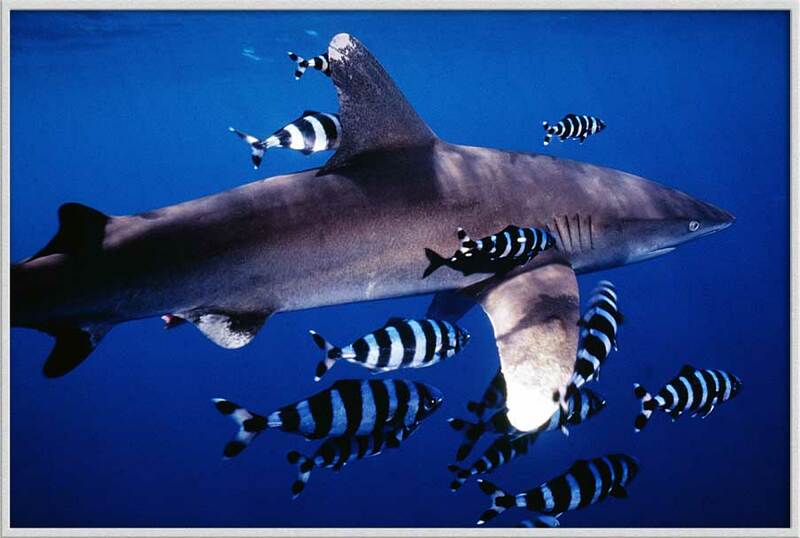 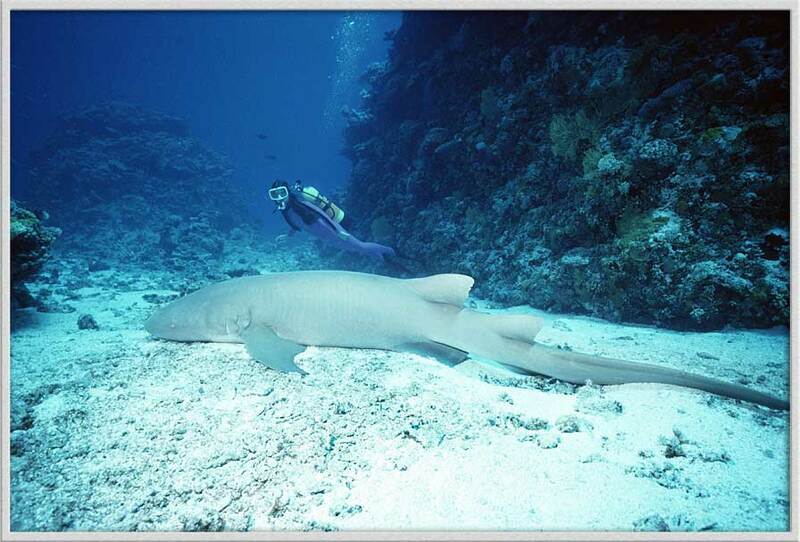 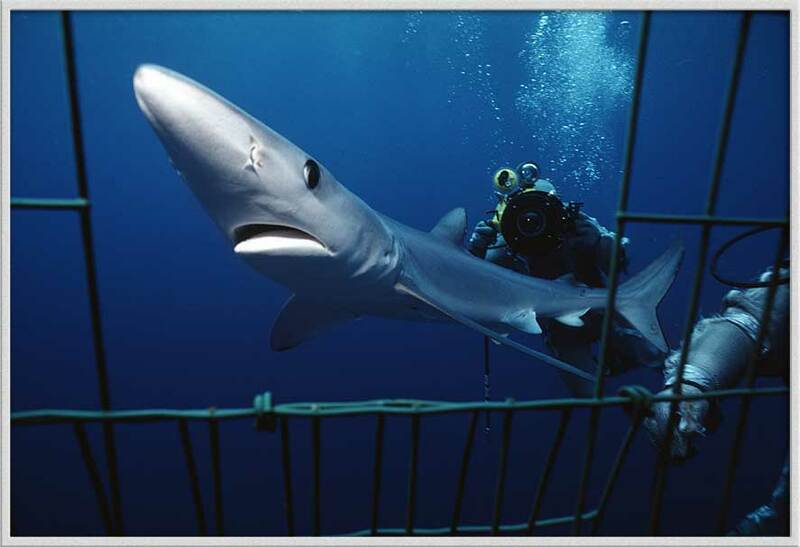 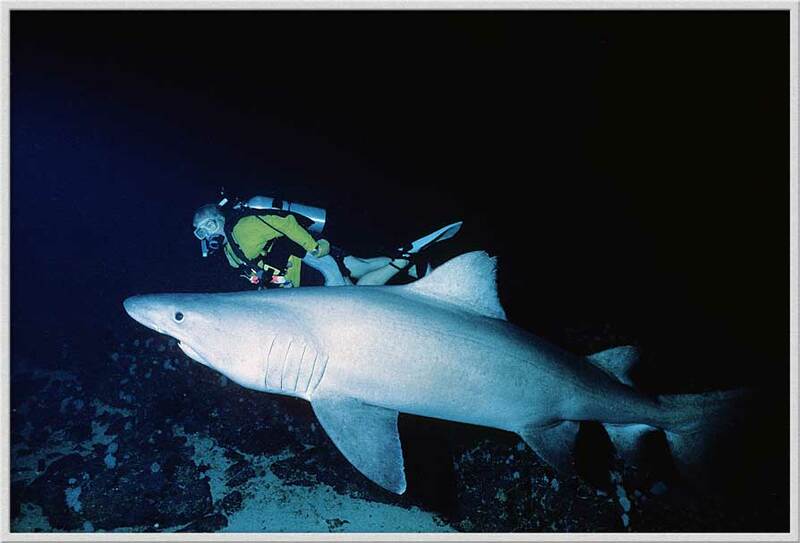 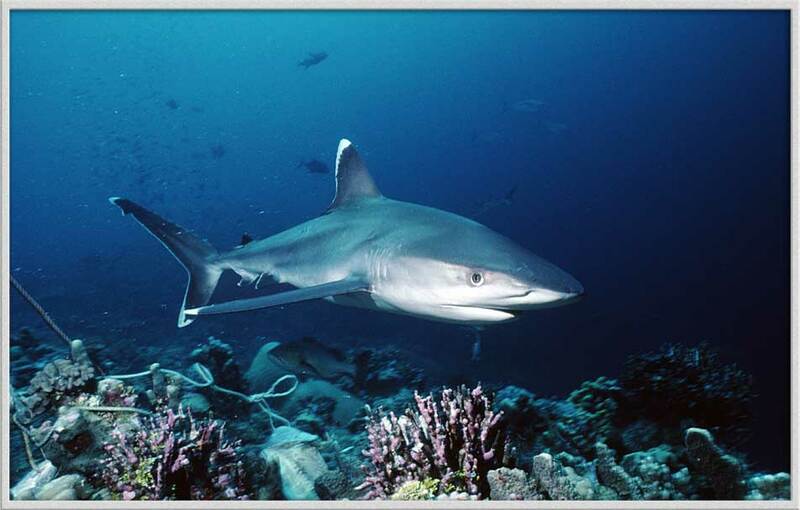 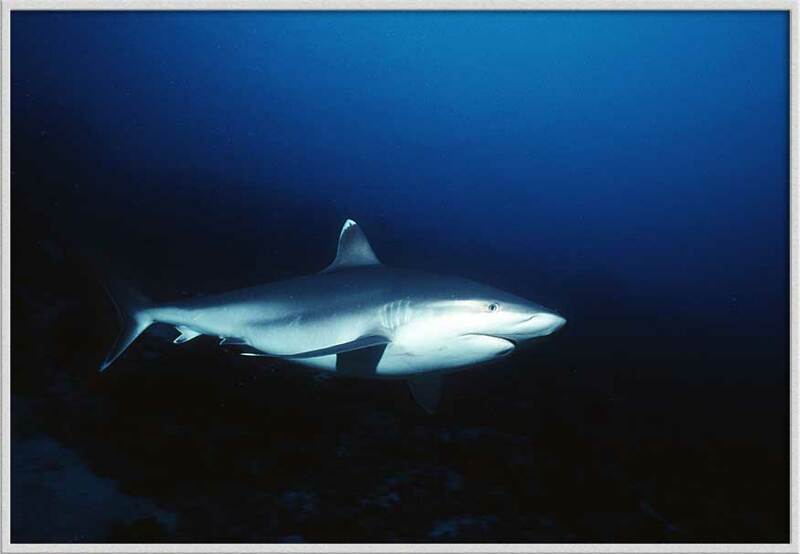 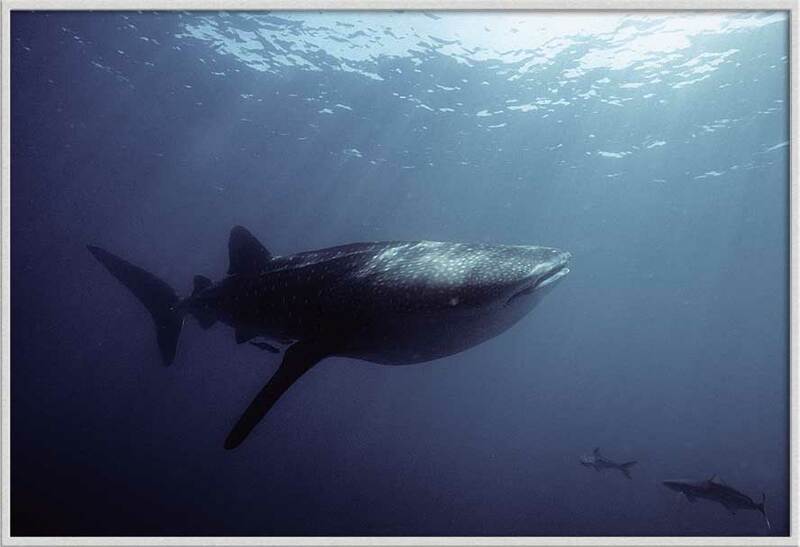 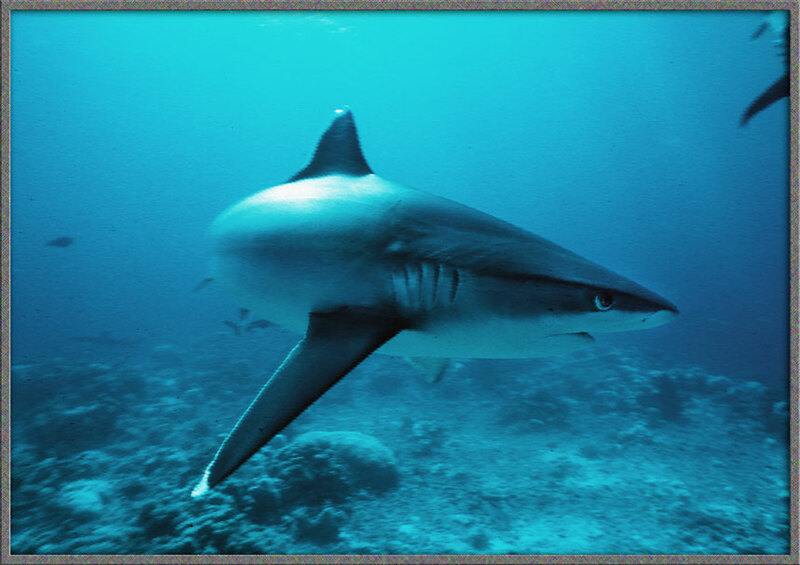 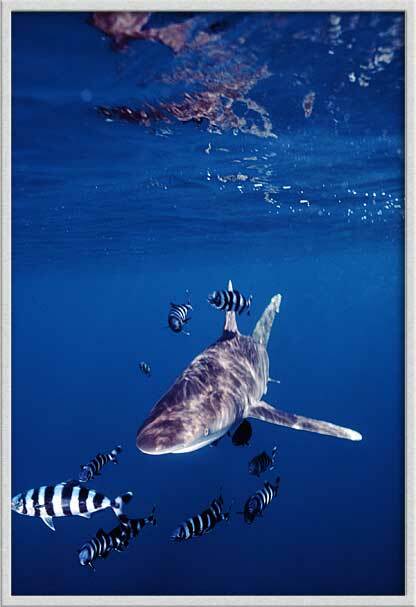 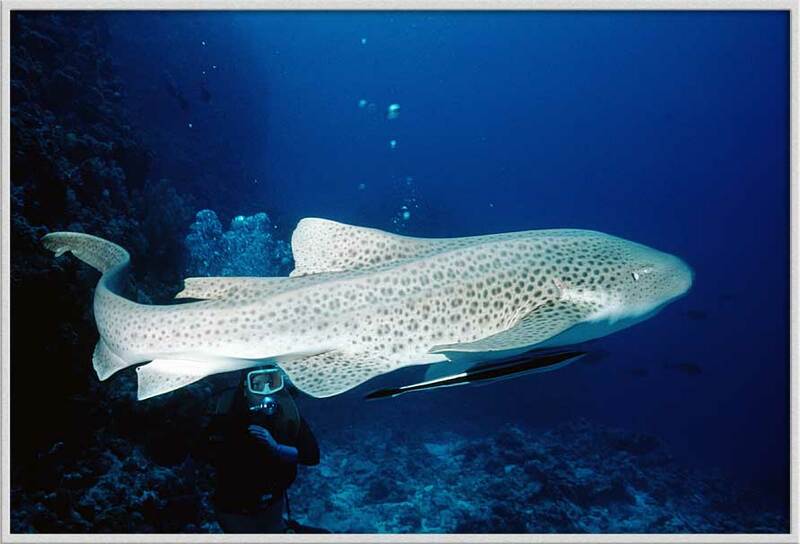 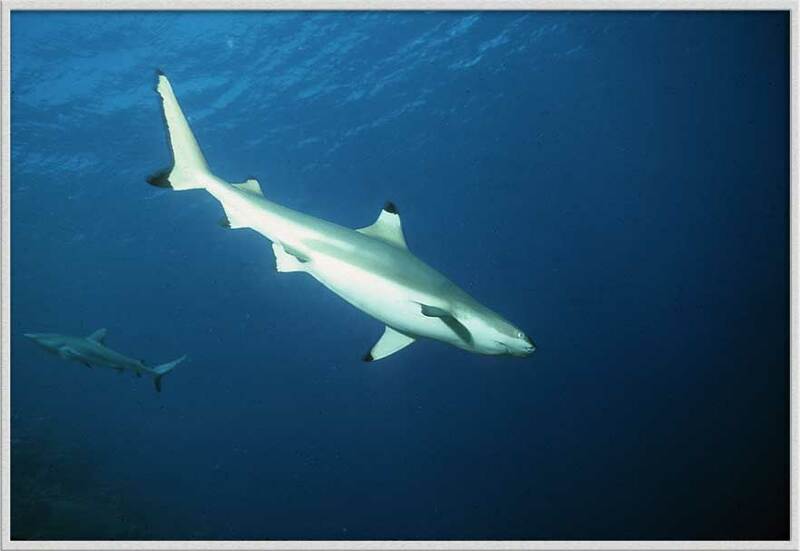 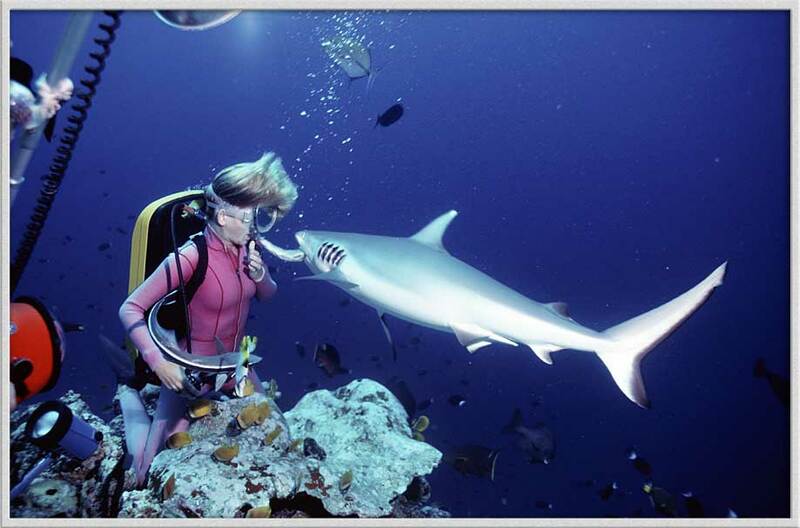 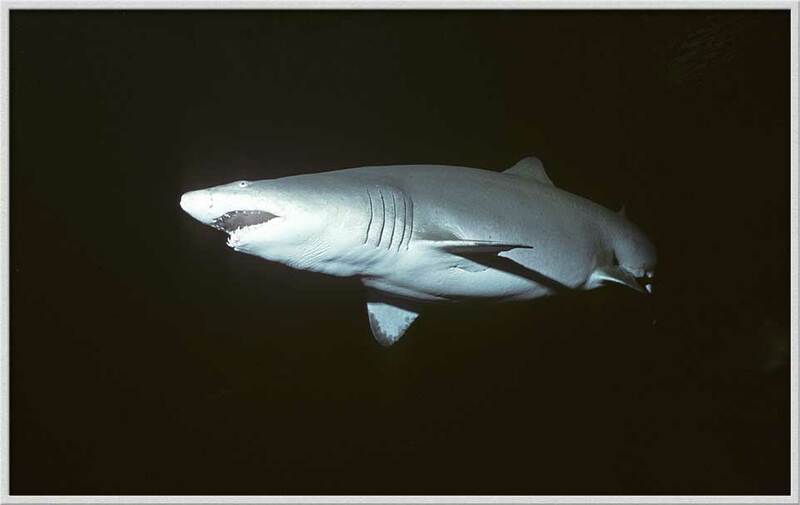 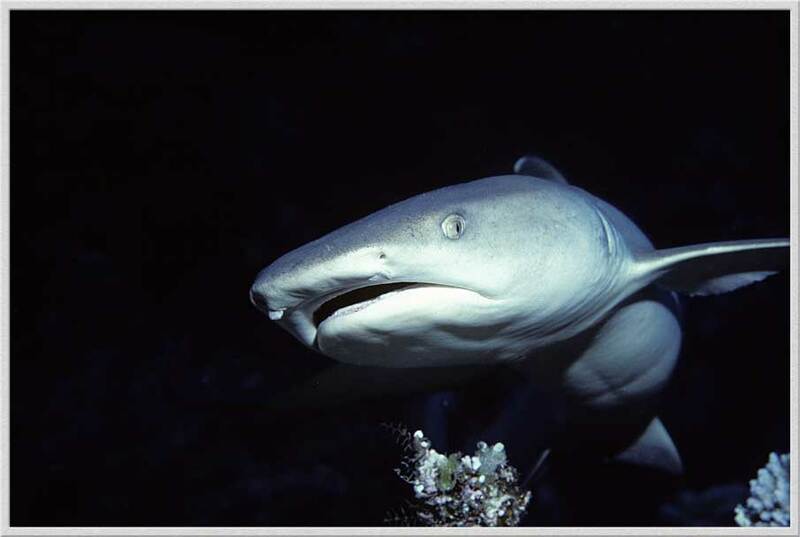 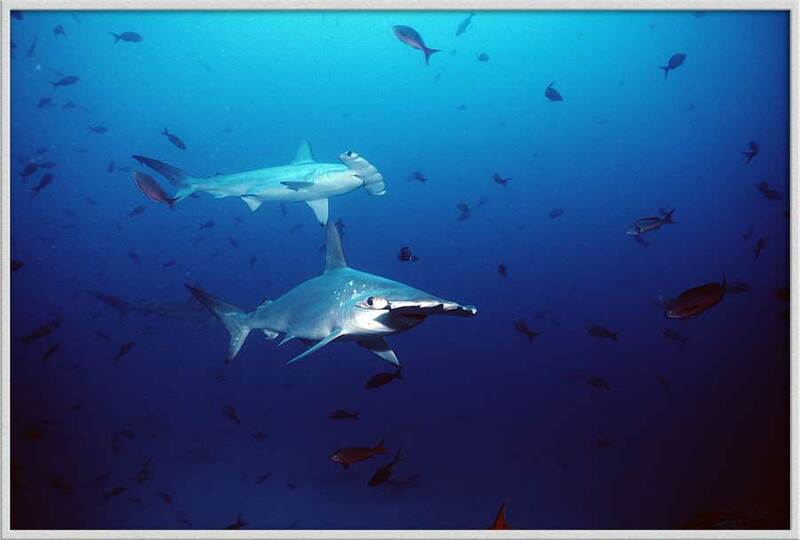 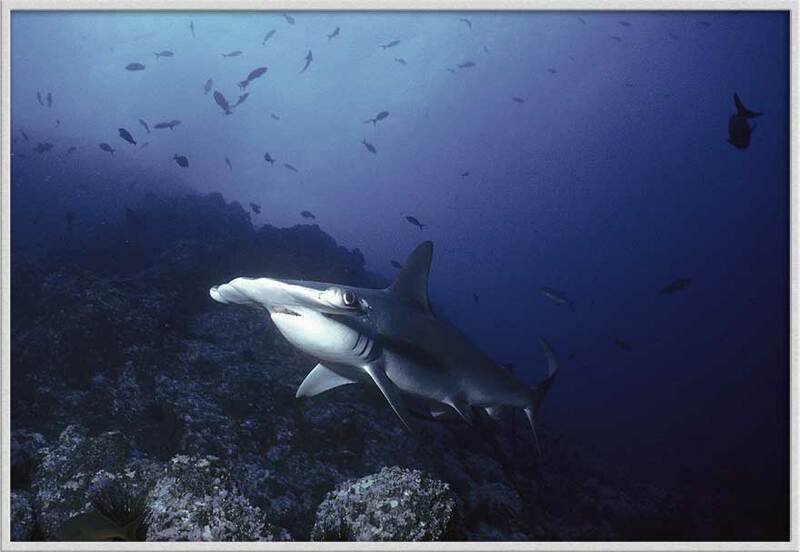 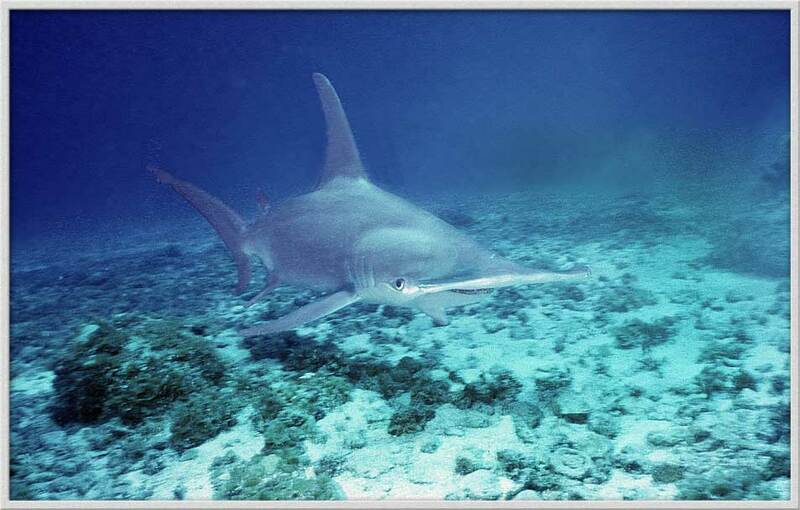 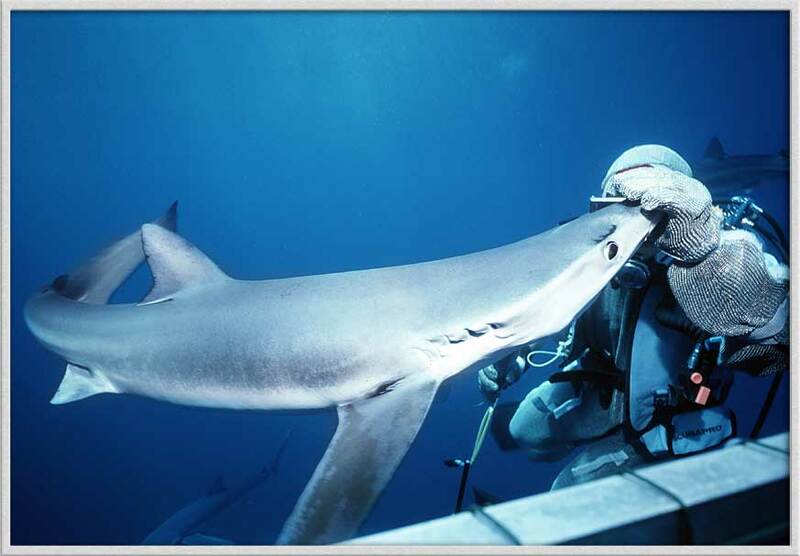 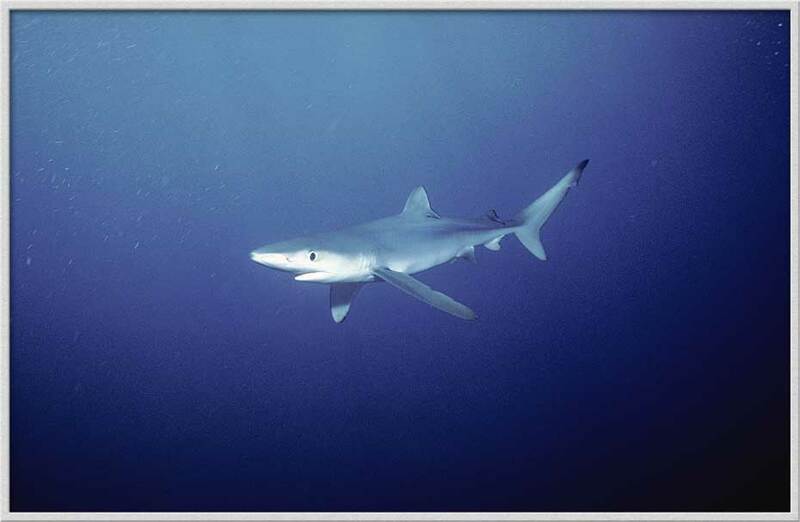 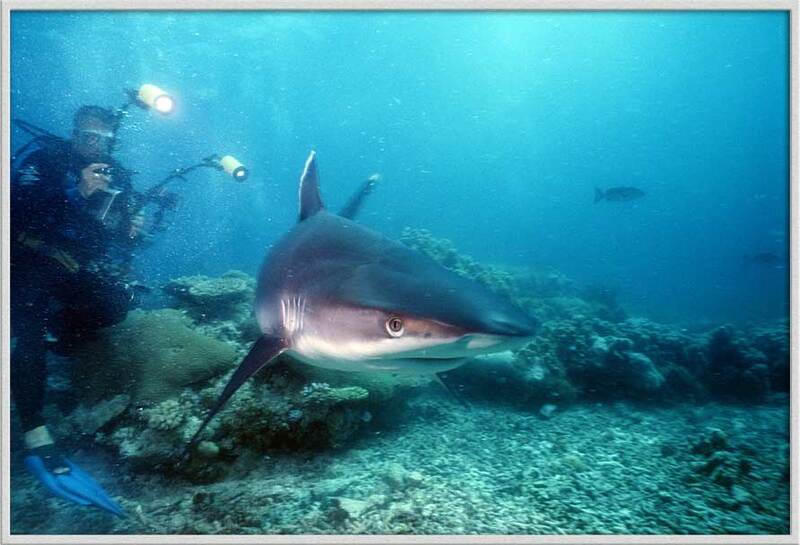 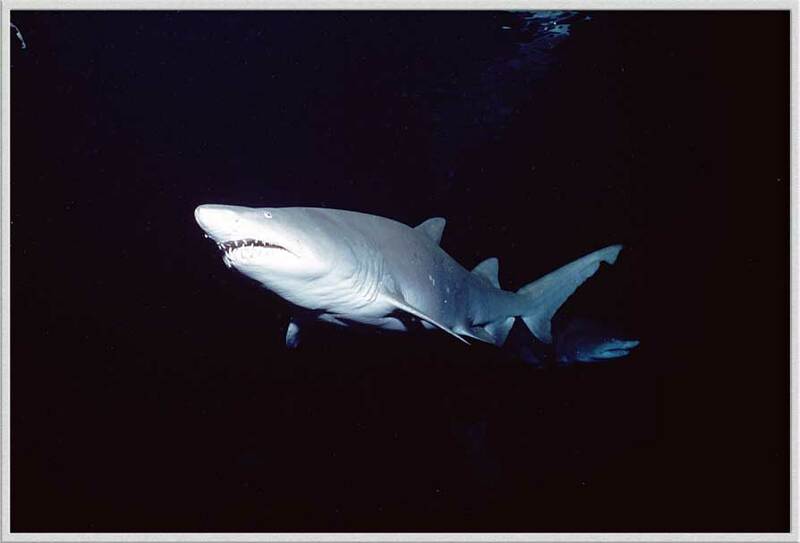 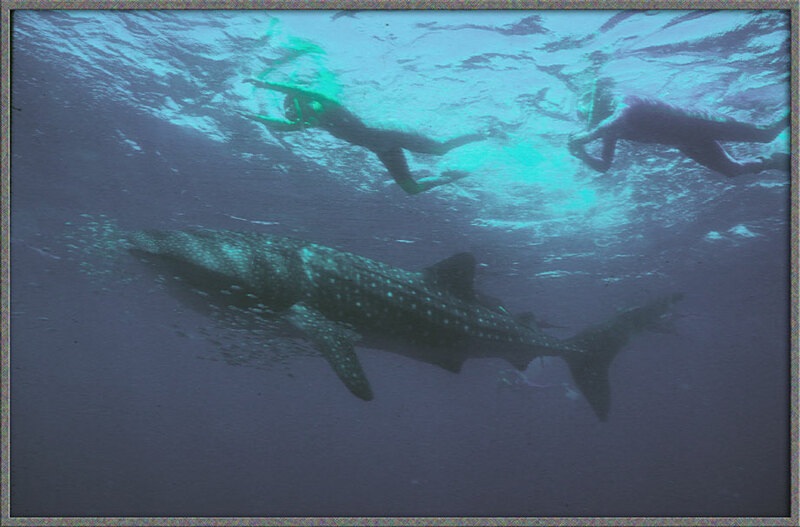 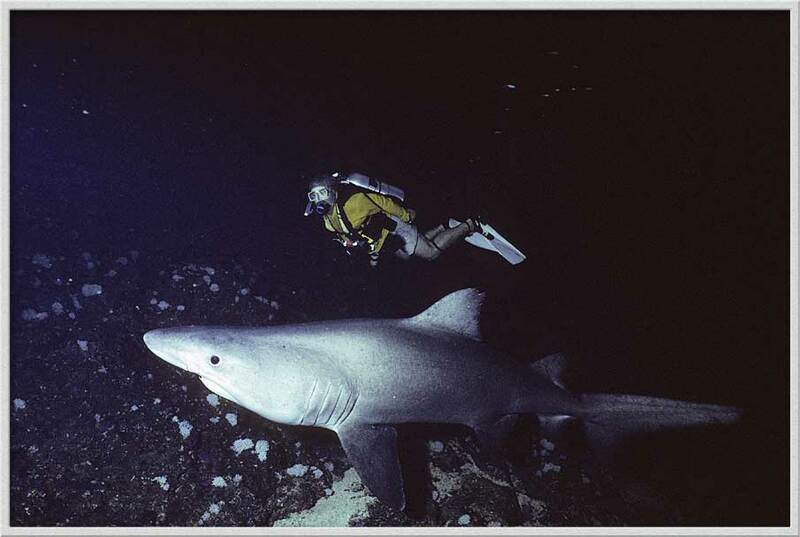 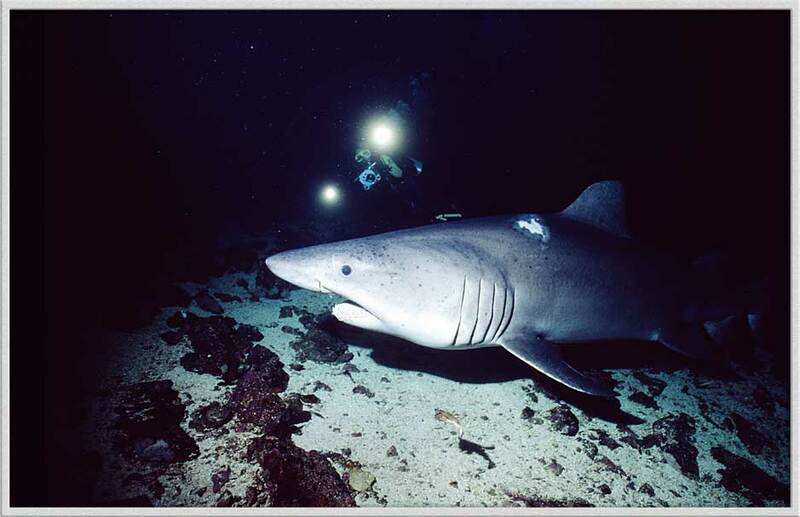 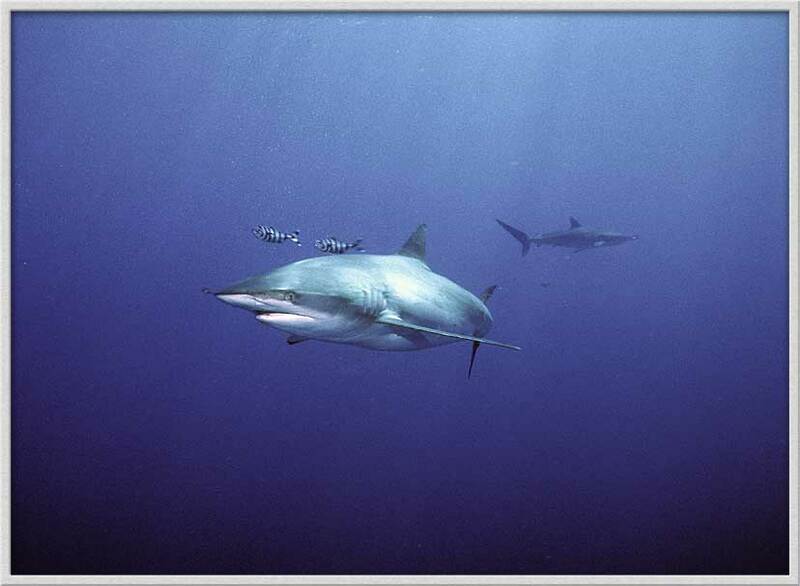 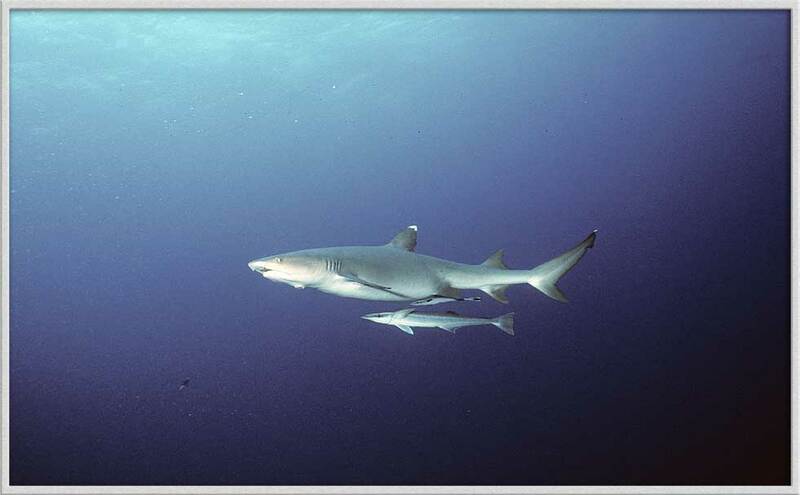 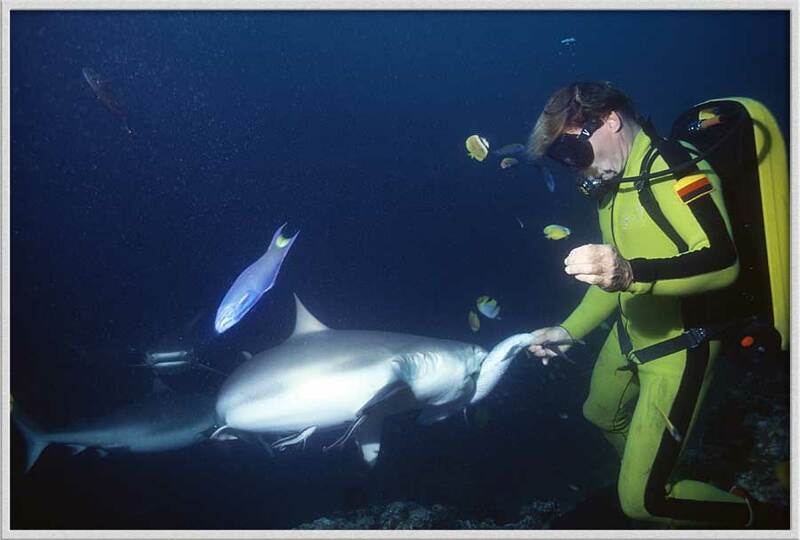 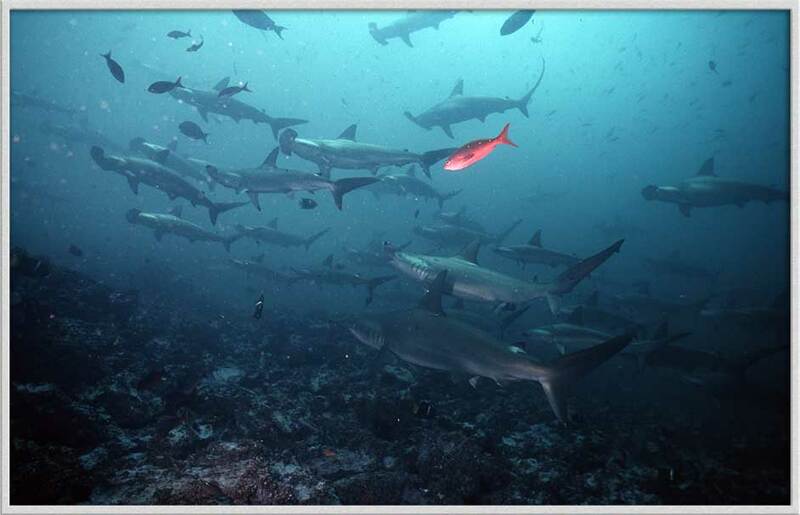 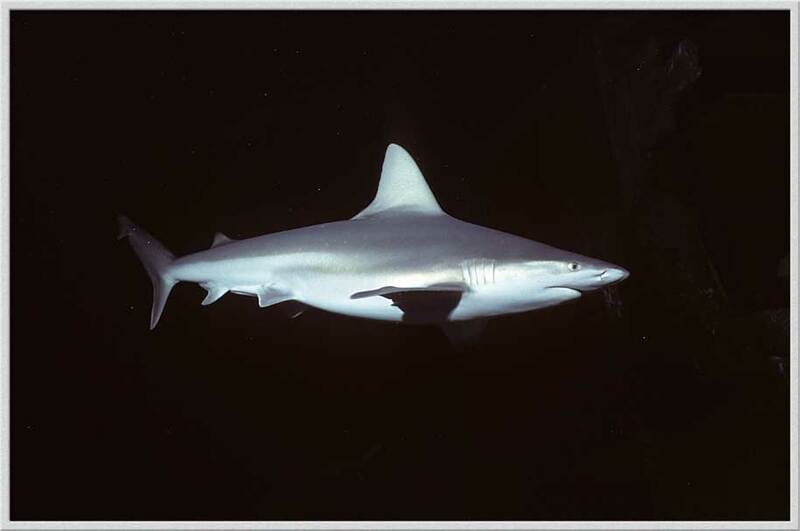 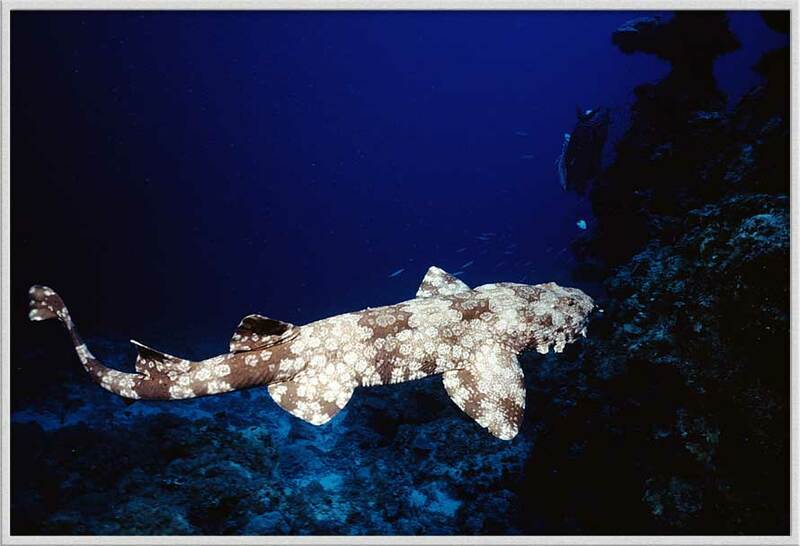 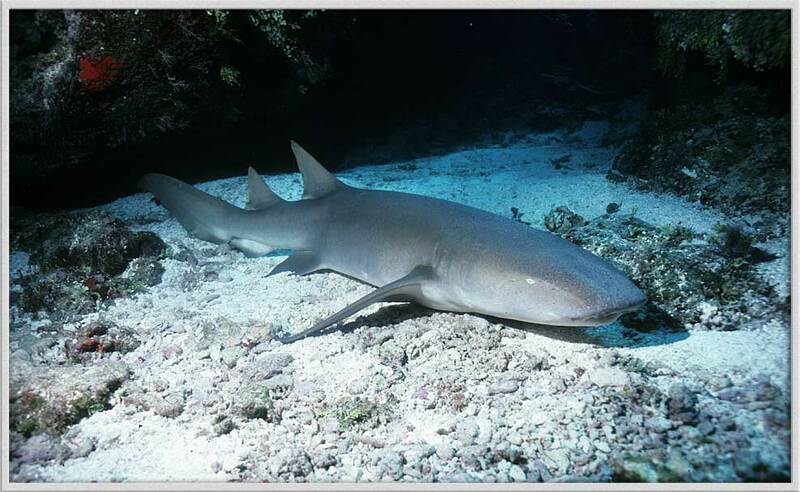 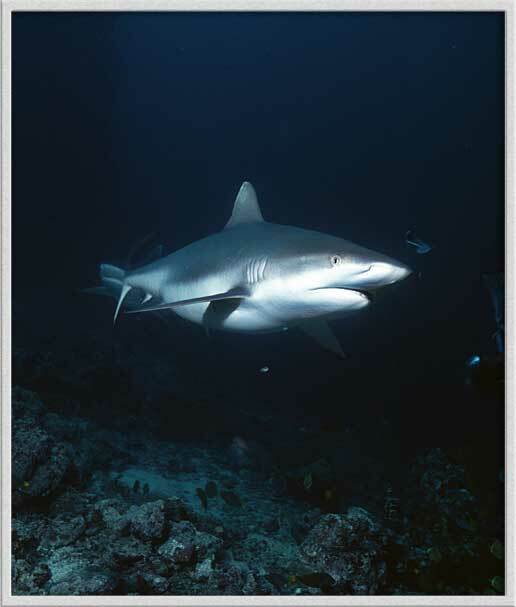 For thirty years my live-aboard diving adventures have specialized in providing our clients encounters with sharks in the wild. 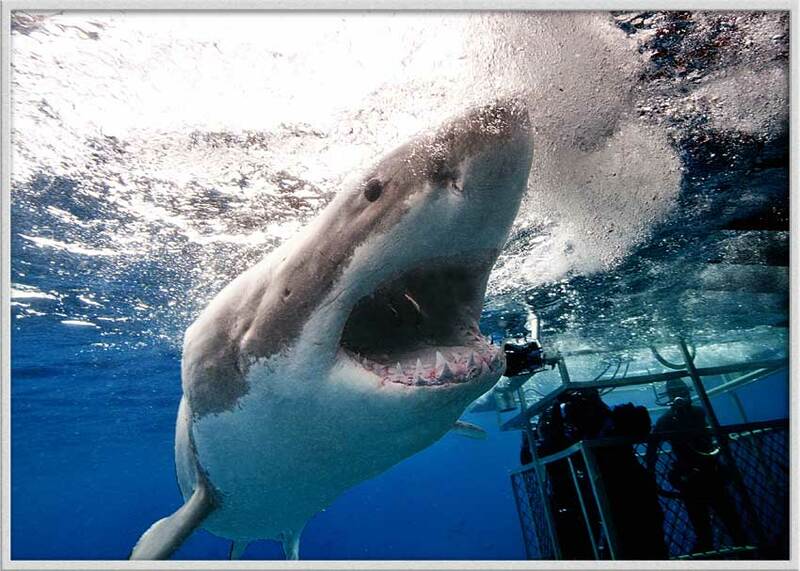 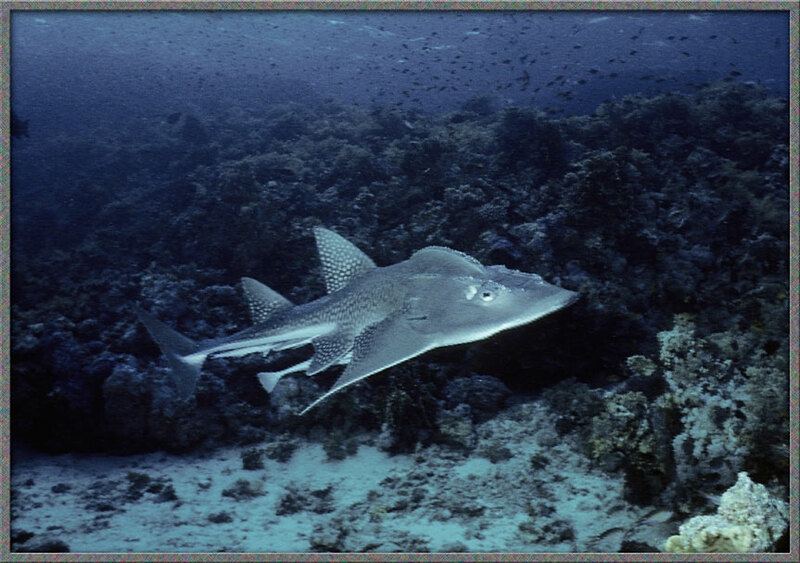 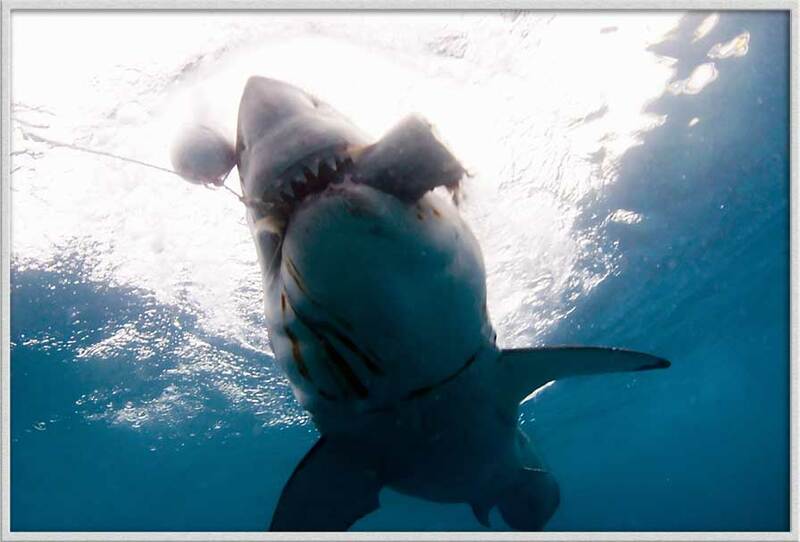 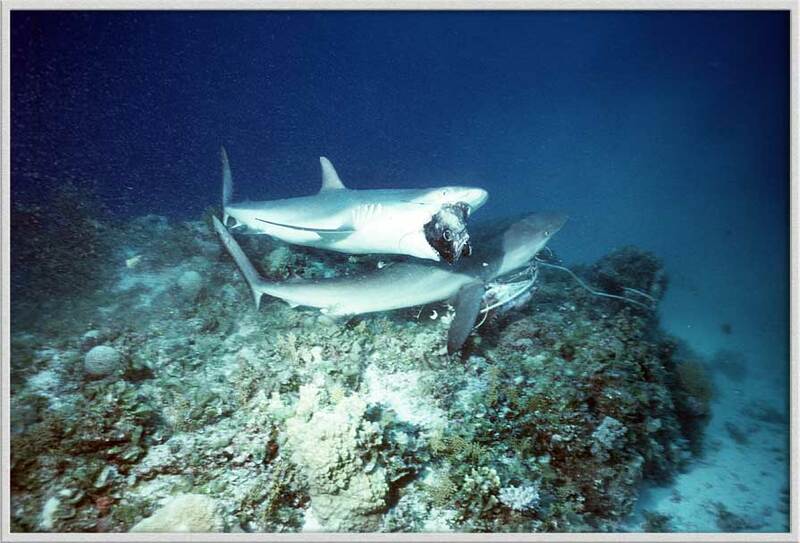 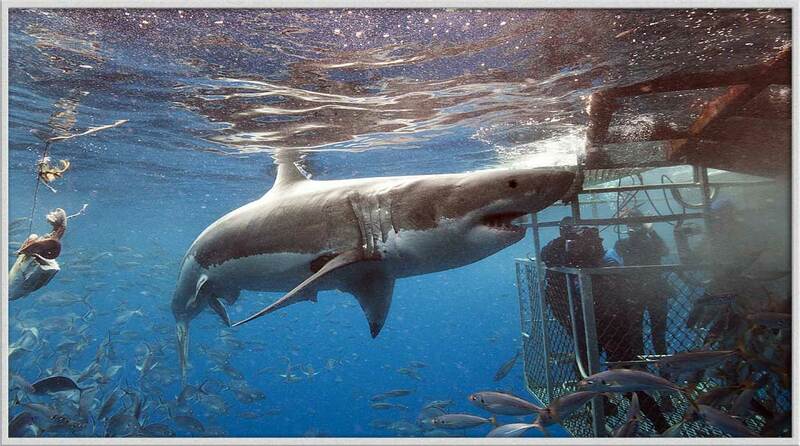 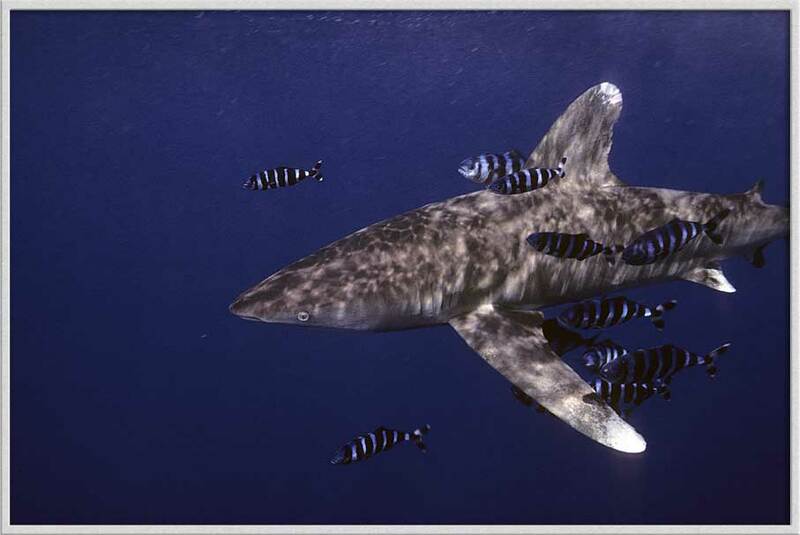 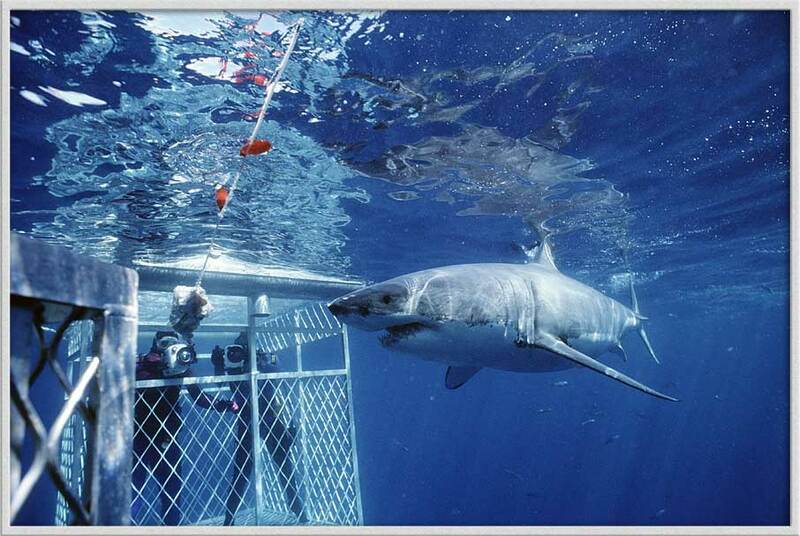 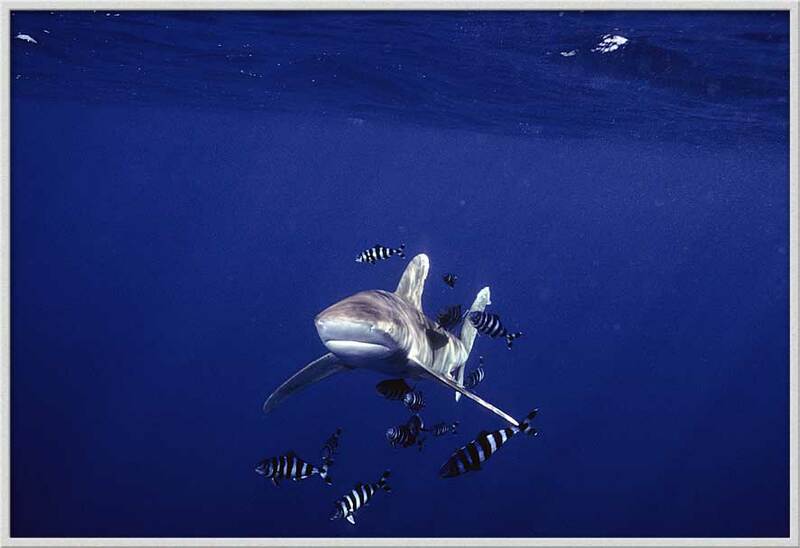 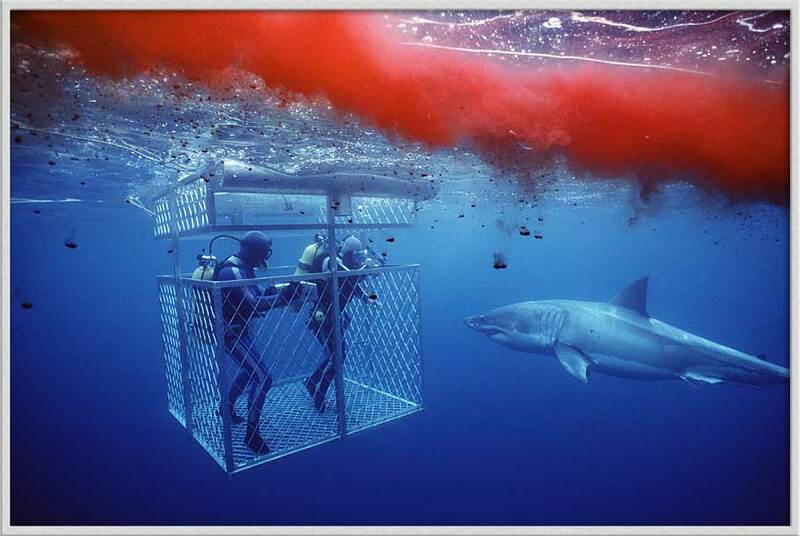 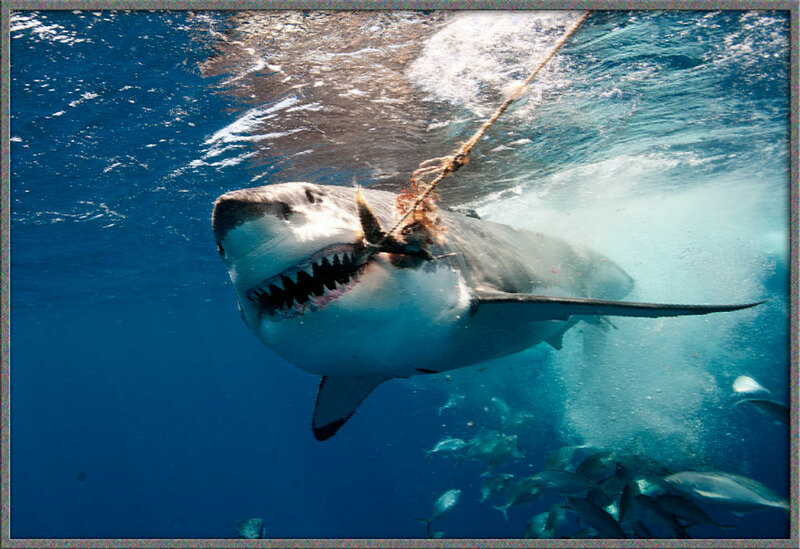 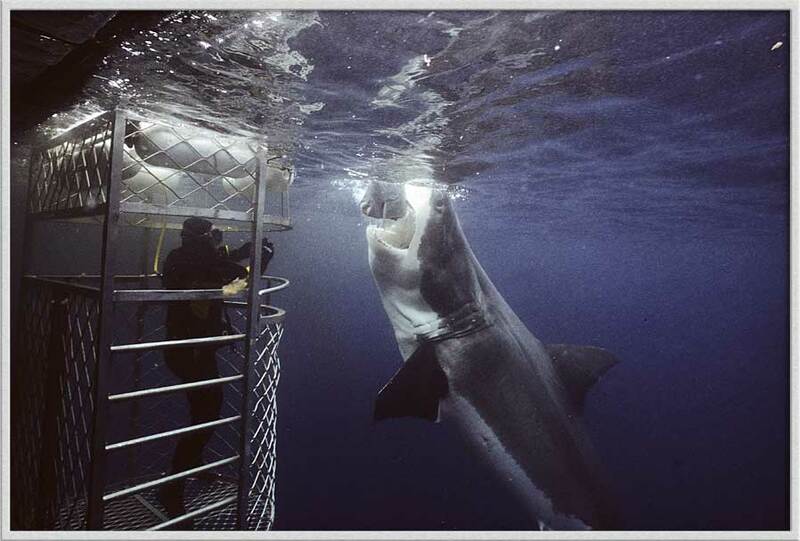 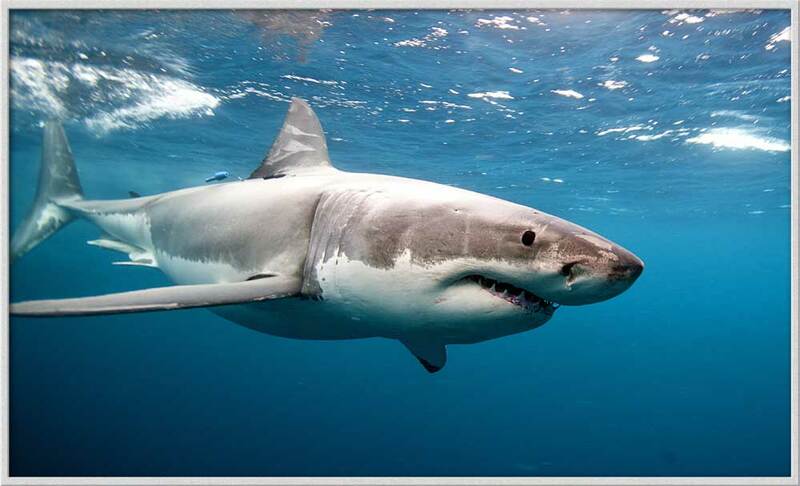 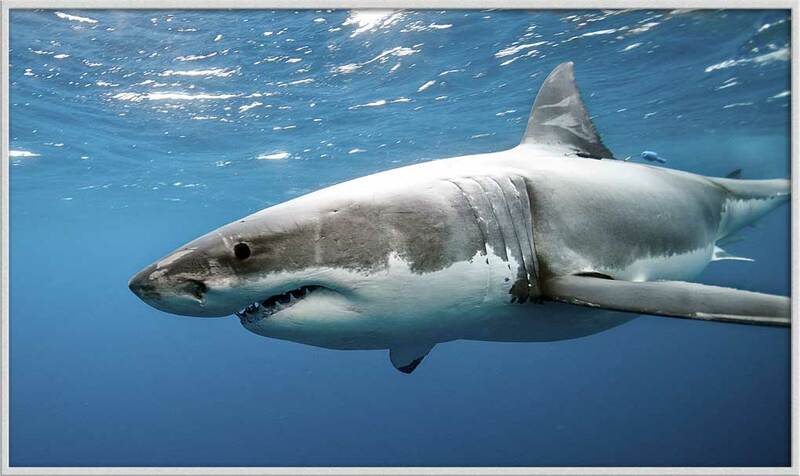 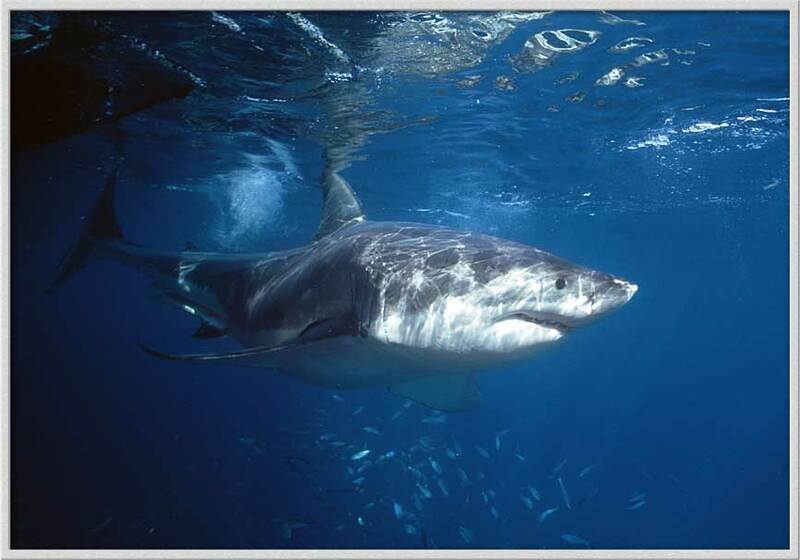 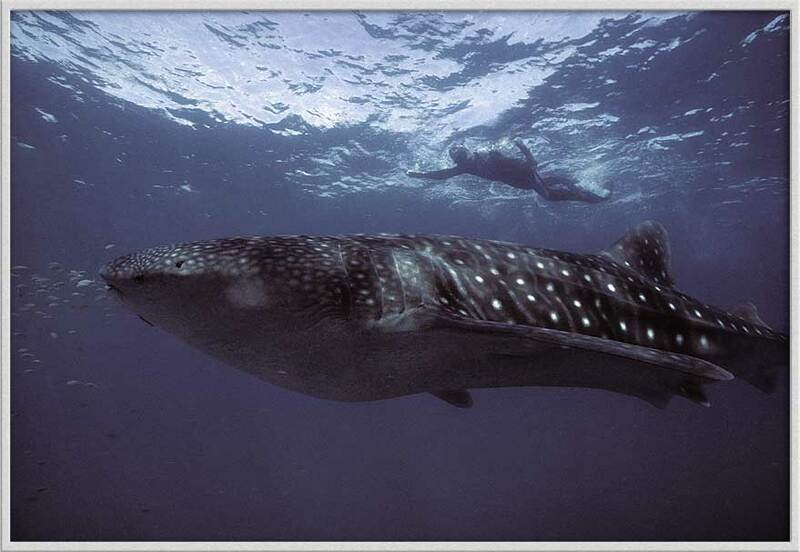 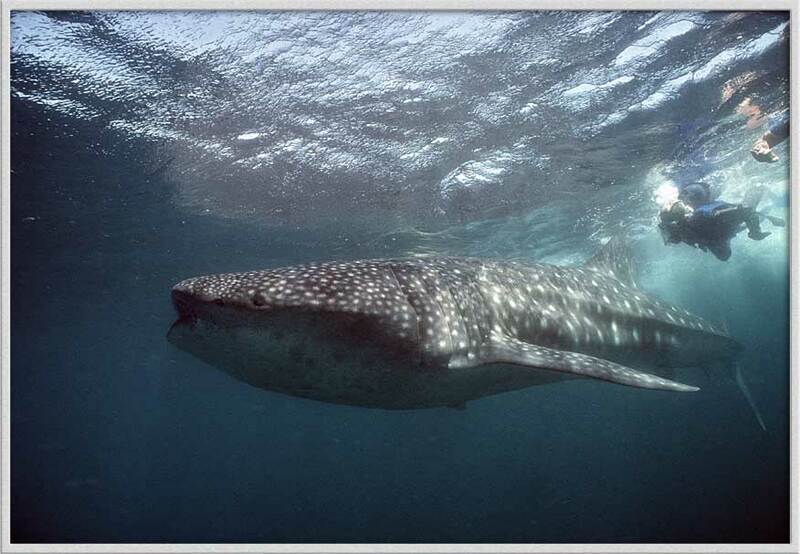 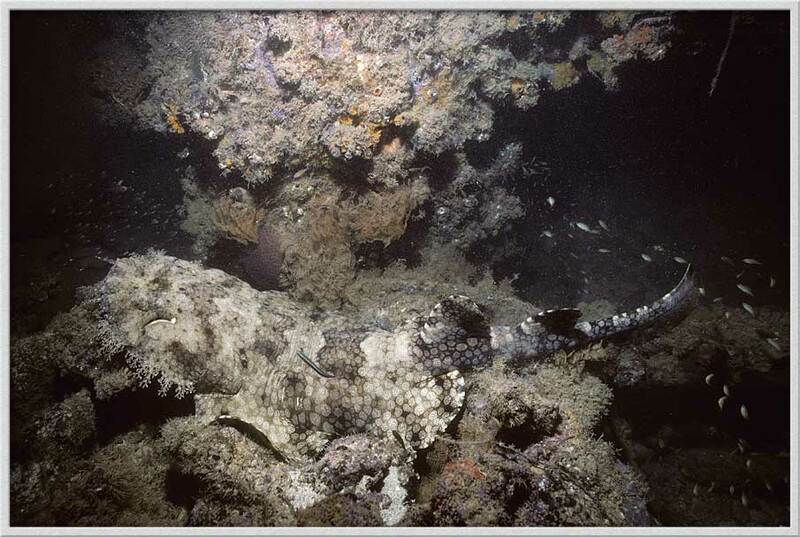 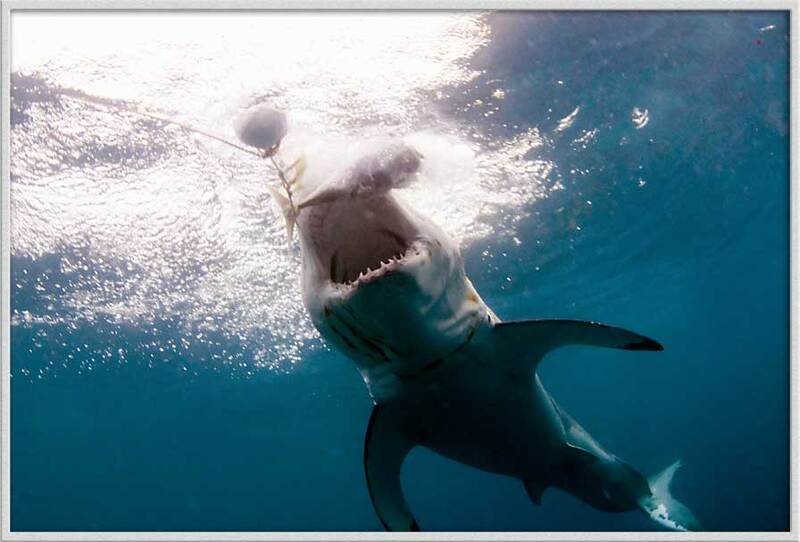 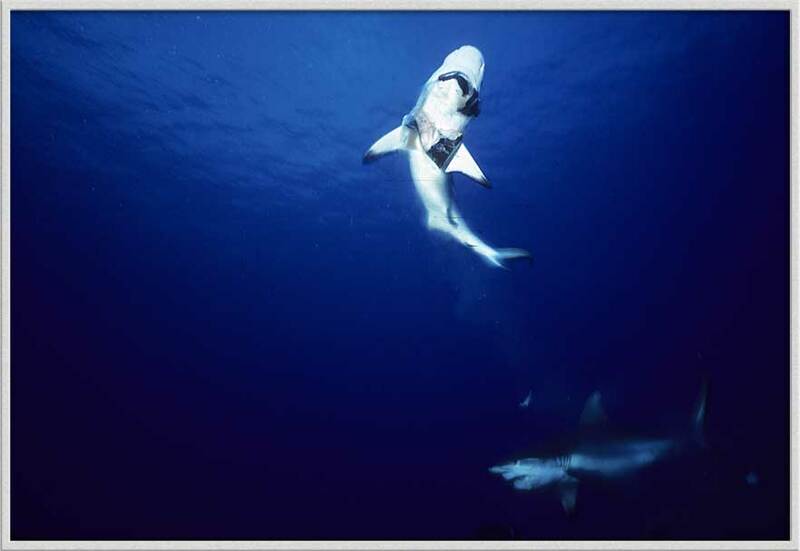 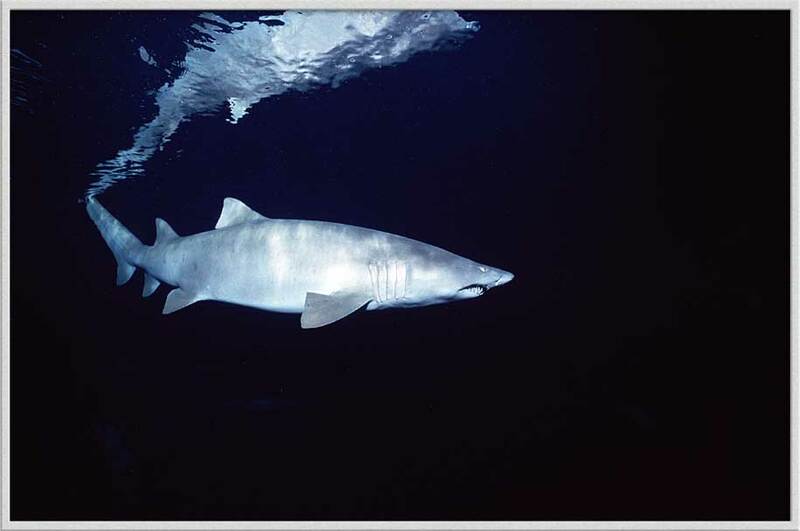 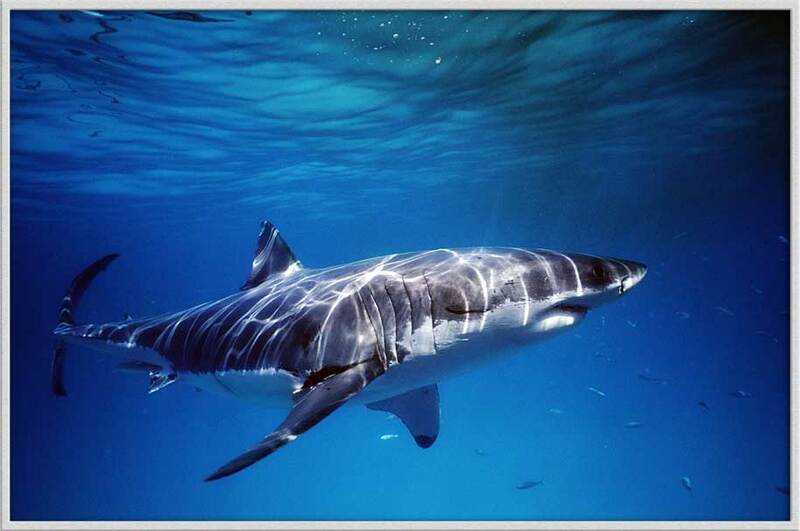 Where indicated by (offers feeding), the vessel will put bait in the water to bring in sharks for filming and observation. 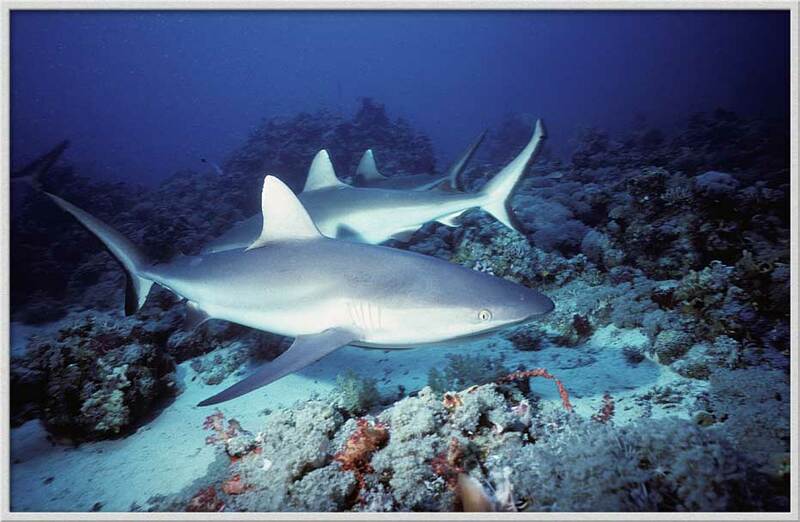 Sharks listed first are seen on every (or almost every) cruise. 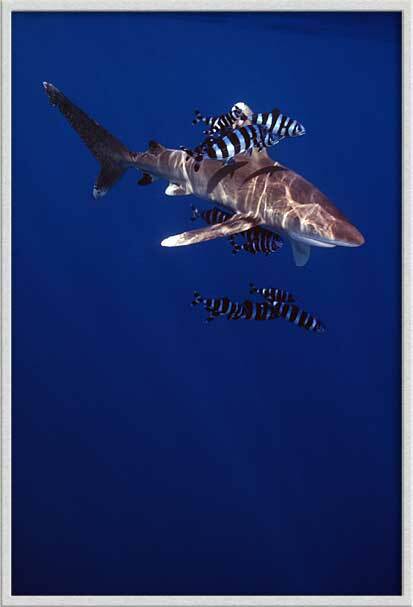 Those listed as "occasional" have been seen but are not reliable. 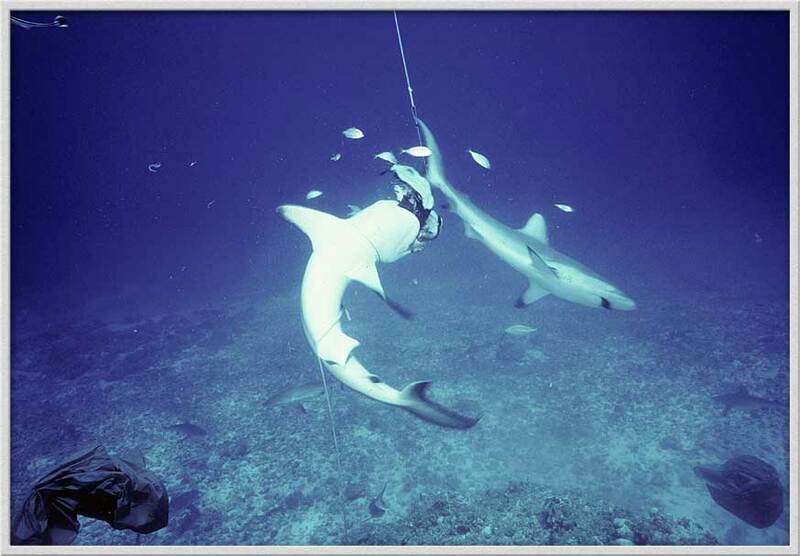 A quick video clip of Carl grabbing a small shark by the tail. 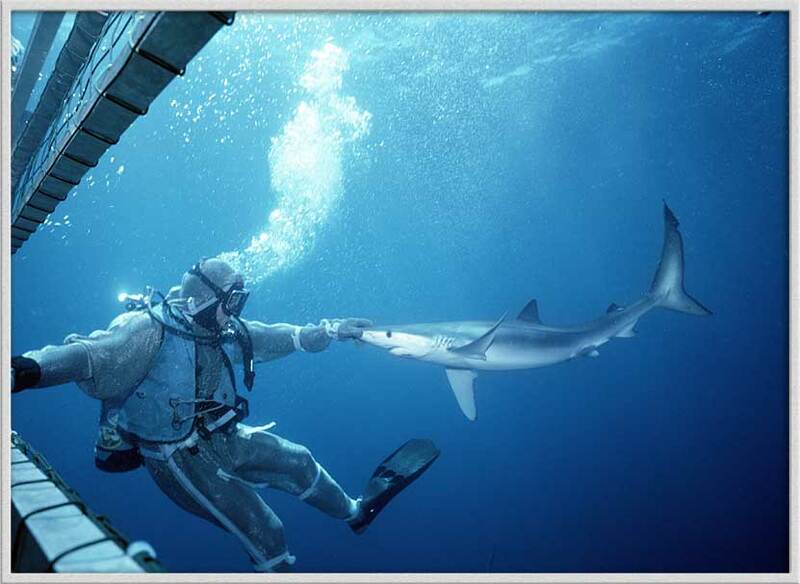 The shark responds appropriately! 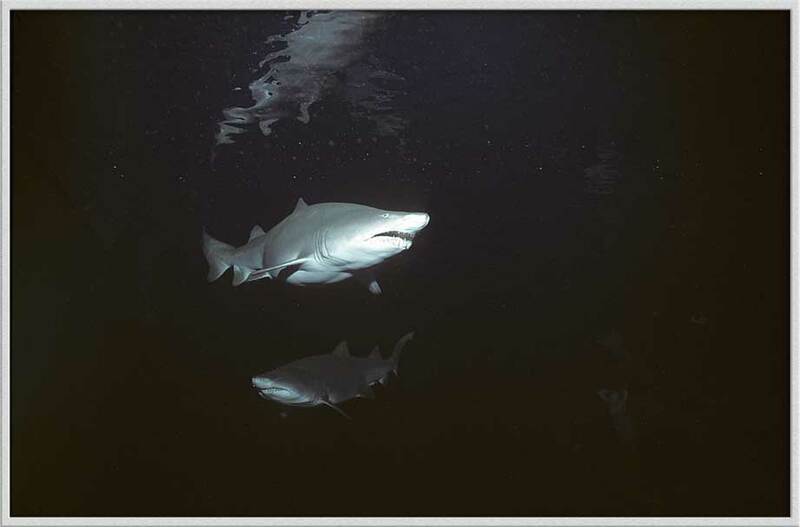 Mandalay Bay Resort/Casino's "Shark Reef"